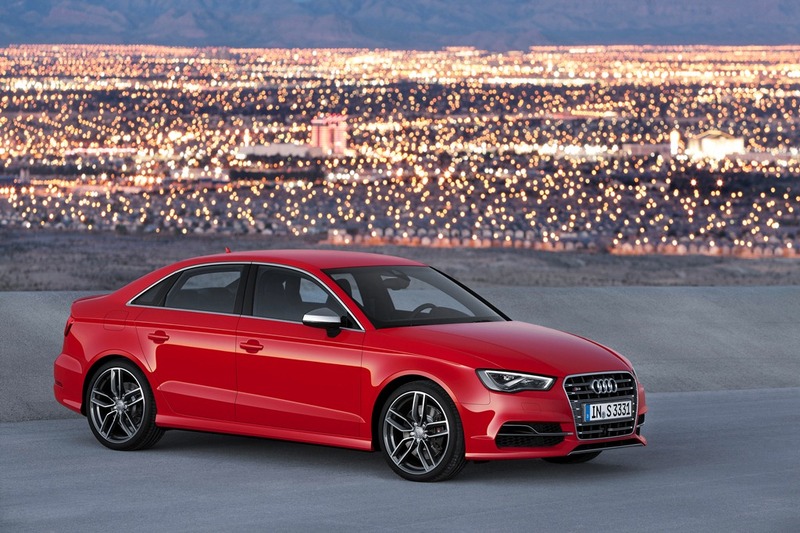 The covers on the new Audi A3 sedan were officially removed this past week when Audi unveiled its new addition to its model line-up. 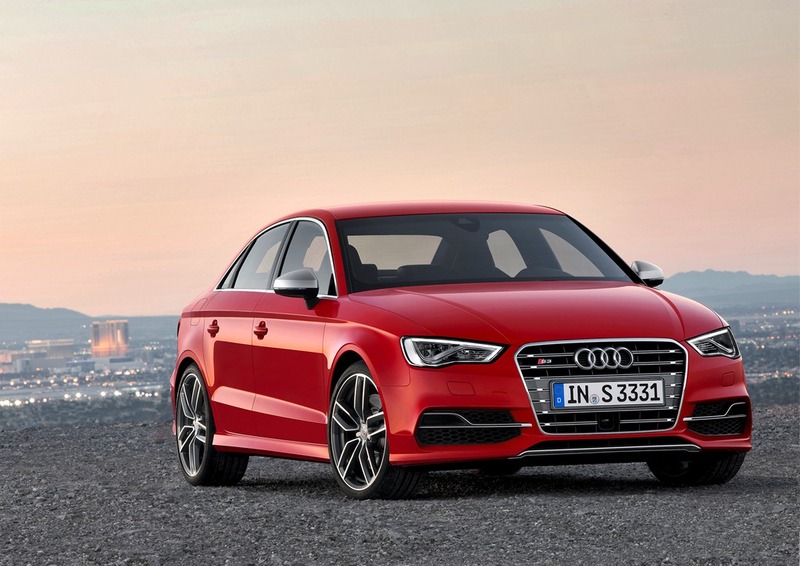 The addition of the Audi A3 sedan signals Audi’s entrance to the compact sedan market segment, supposedly the world’s largest market segment. 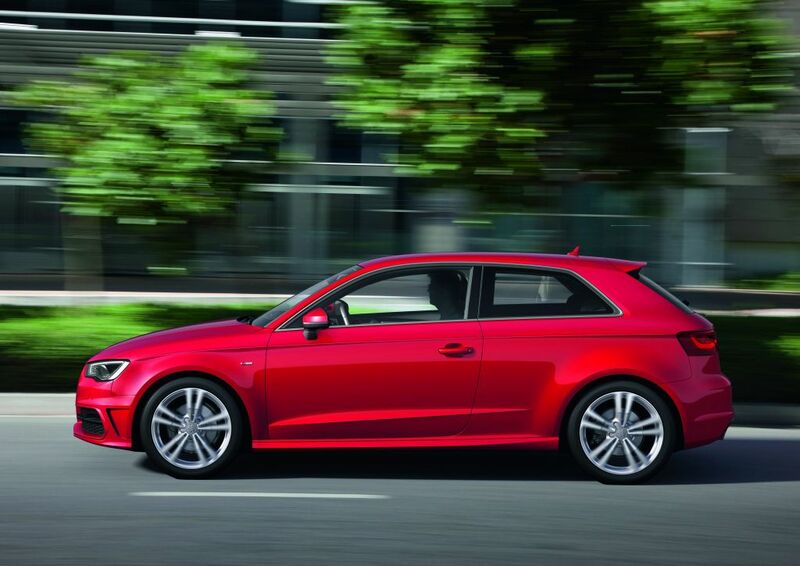 The Audi A3 four-door sedan offers all the strengths of the A3 hatchback, of which the three-door version has already been launched in South Africa. 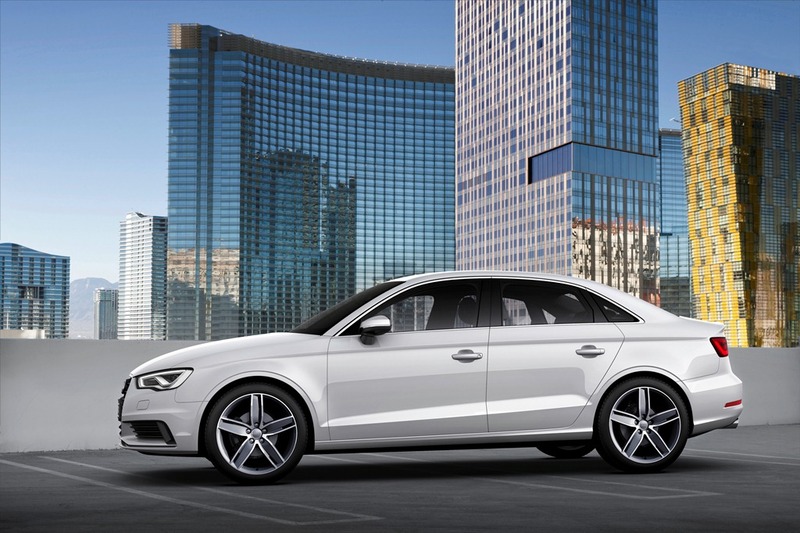 The four-door A3 Sportback is set for market launch in South Africa this coming April. 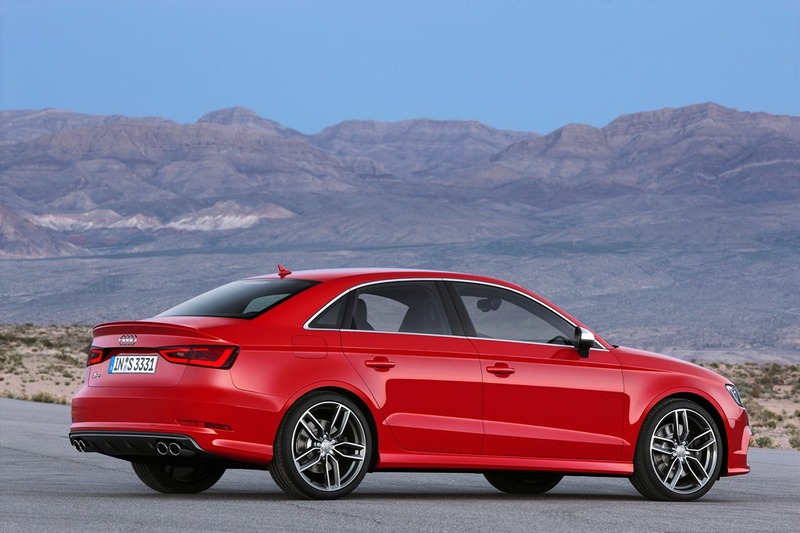 The top model Audi S3 Sedan will also be available some months after the launch of the A3 sedan and will offer 221kW of power. 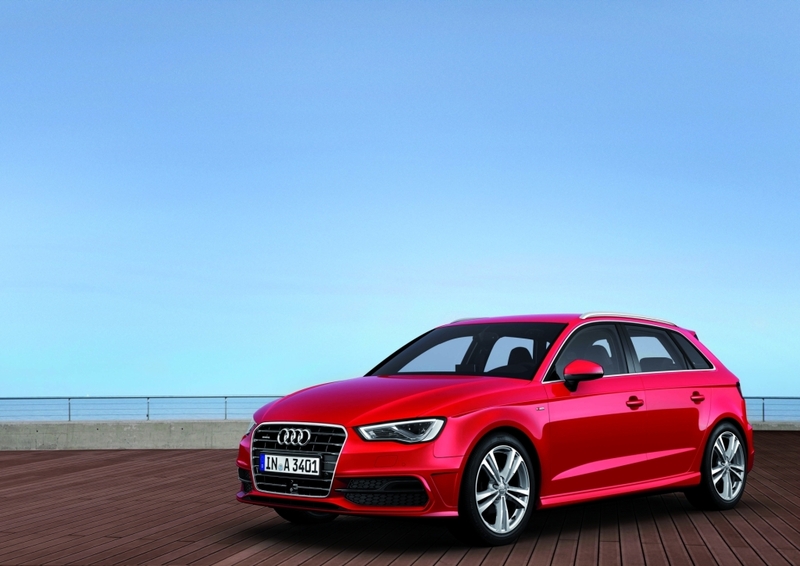 The A3 sedan has a 2.64 meter long wheelbase and overall length of 4.46 meters. 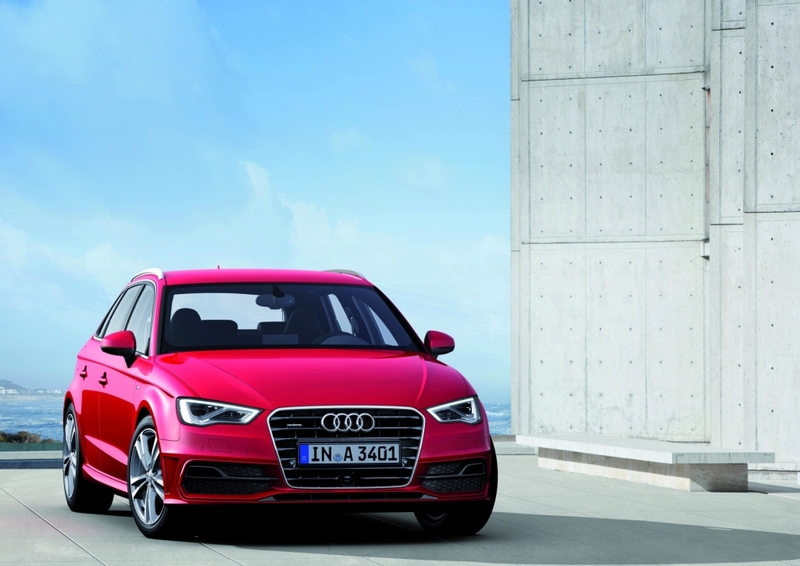 In comparison to the A3 three-door and the Sportback the A3 sedan, the dynamic line that lies above the side sill rises more sharply. 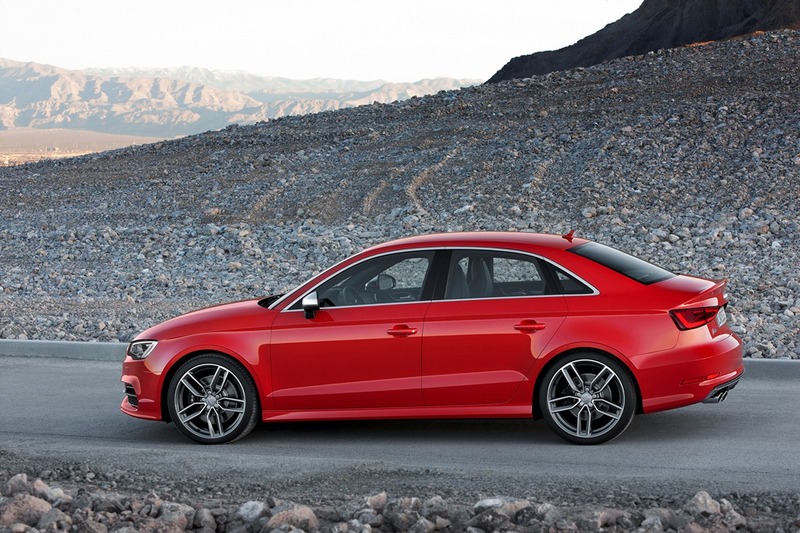 The side surfaces are more intensively curved, and the wheel arches more flared. 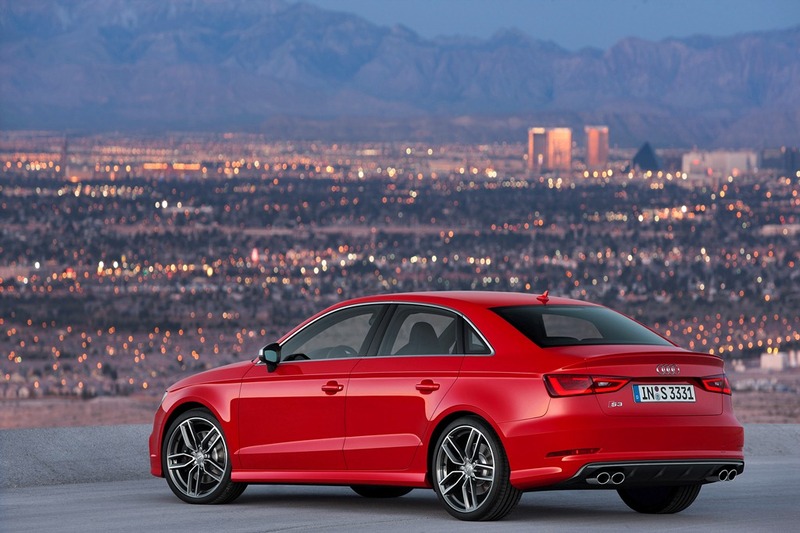 The A3 sedan sits 11mm wider than the A3 Sportback and 9mm lower in height compared to the Sportback. 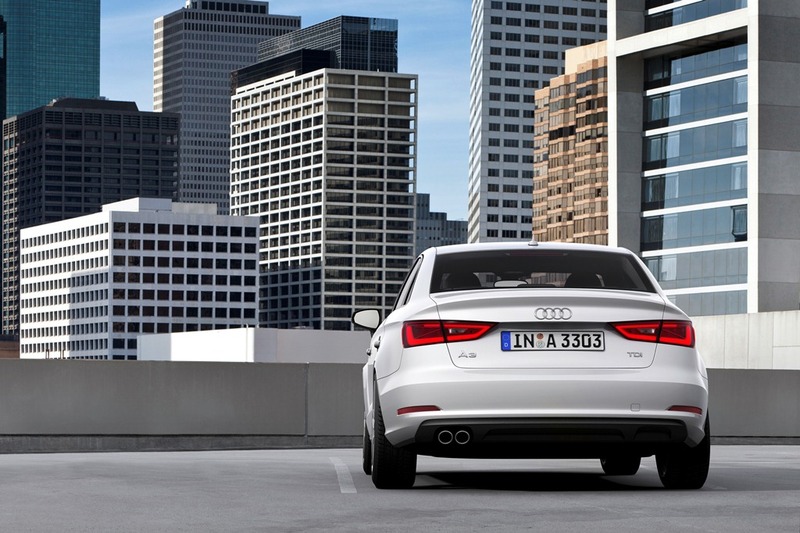 At the rear the, the spoiler is integrated in the trunk lid, and the lights emphasize the car’s horizontal lines with their broad and low cuts. 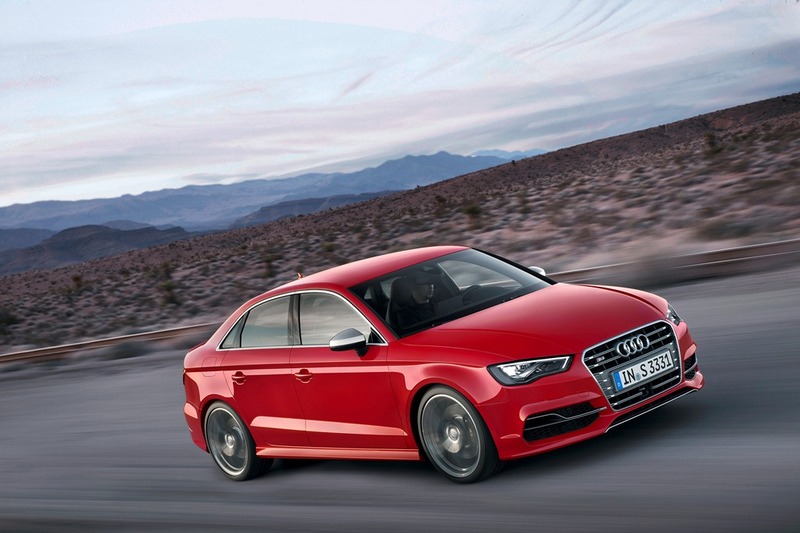 In Europe the A3 sedan will be launched with a choice of three four-cylinder engines, these three engines being the 2.0 TDI, the 1.4 TFSI and the 1.8TFSI. 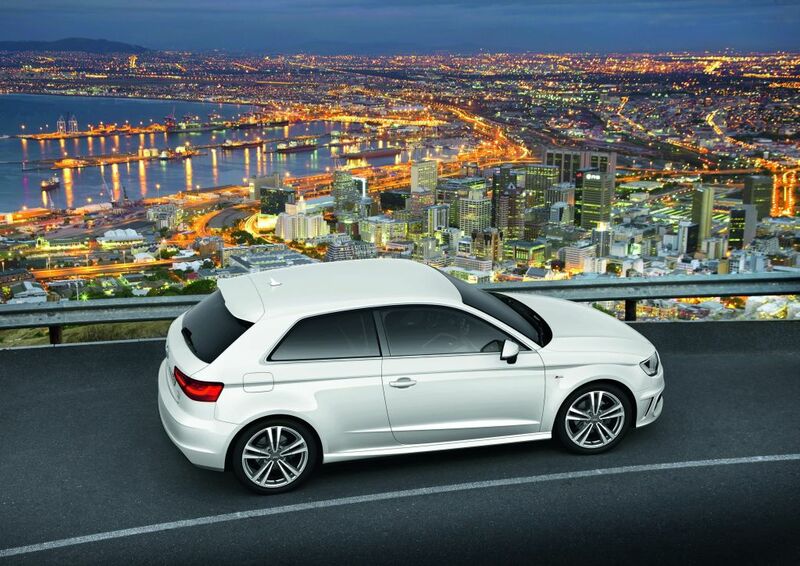 The 2.0TDi produces 110kW and 320NM and accelerates the A3 sedan from 0 to 100km/h in 8.7 seconds. 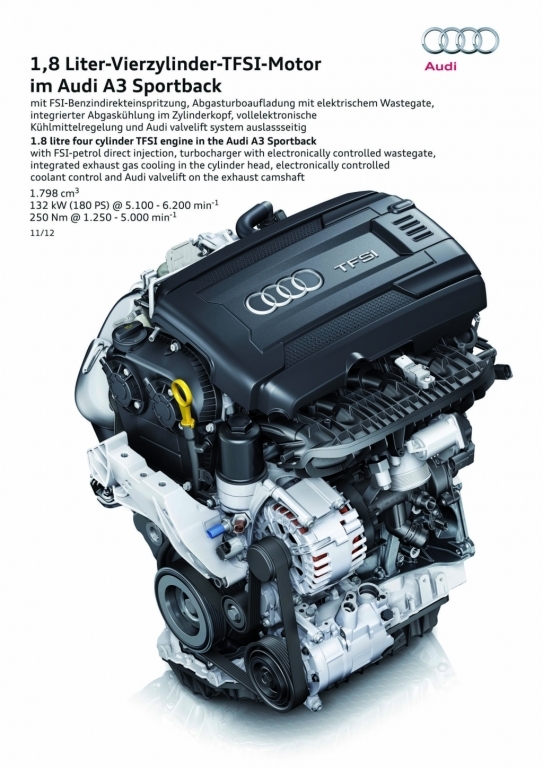 This engine has a claimed fuel consumption of 4.1 litres/100km and CO2 emissions of 107g/100km. 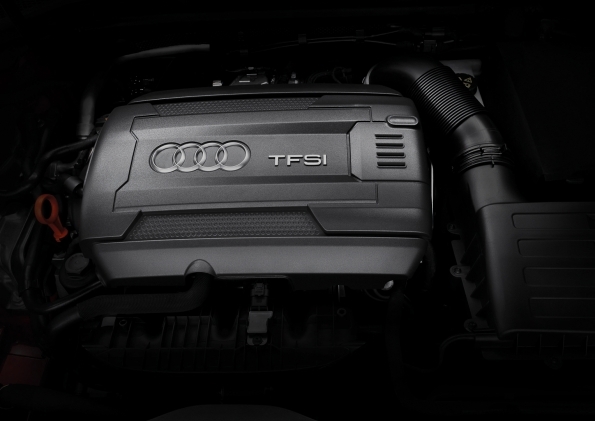 The 1.4 TFSI engine with Cylinder on Demand (COD) technology produces 103kW and 250Nm and accelerates the A3 sedan from 0 to 100km/h in 8.4 seconds. 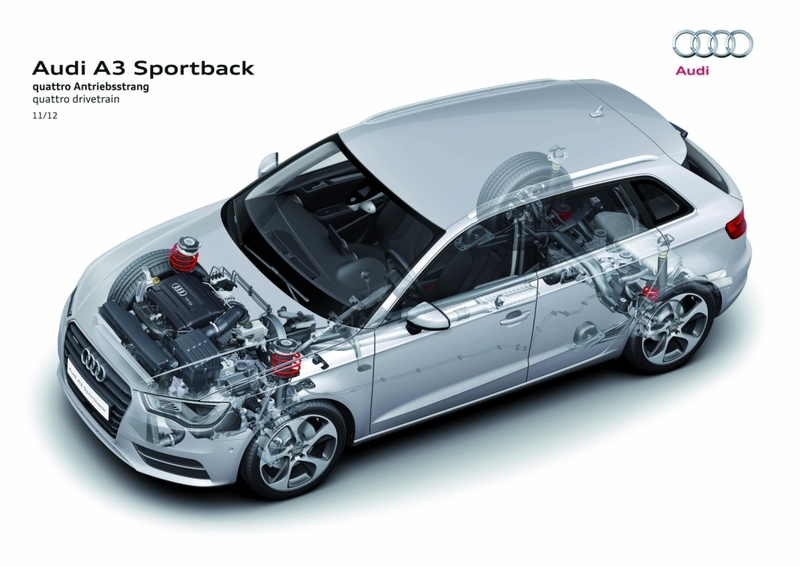 The claimed fuel consumption for the A3 sedan equipped with this engine is 4.7 litres/100km and the CO2 emissions are 109g/km. 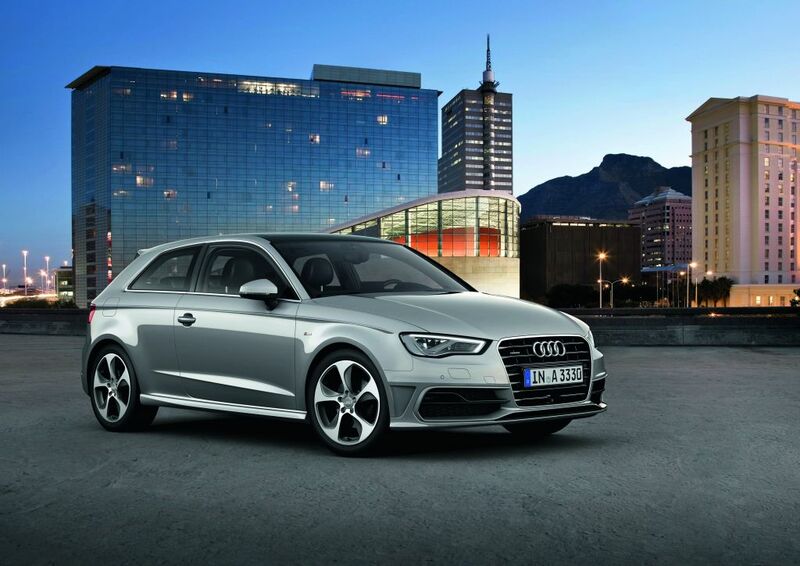 The 1.8 TFSI engine produces 132kW and 250Nm and accelerates the A3 sedan from 0 to 100km/h in 7.3 seconds. 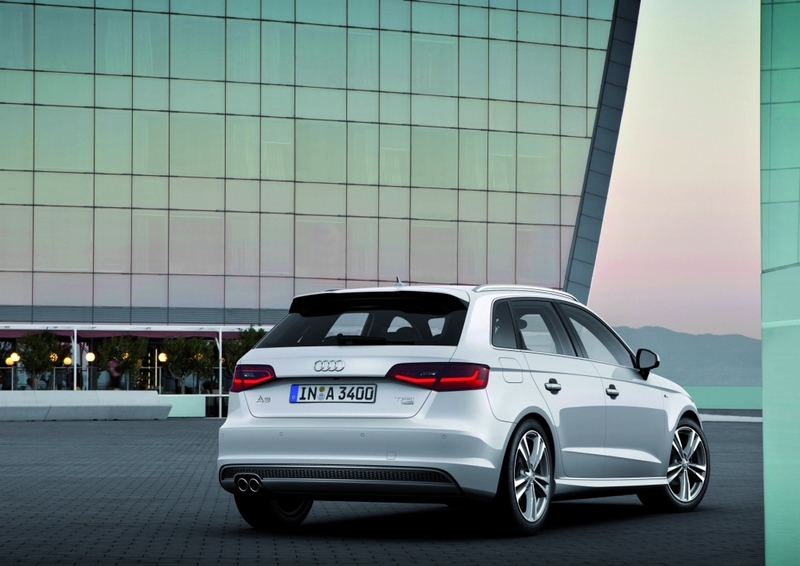 The claimed fuel consumption is 5.6 liters/100km and has Co2 emissions of 129g/km. 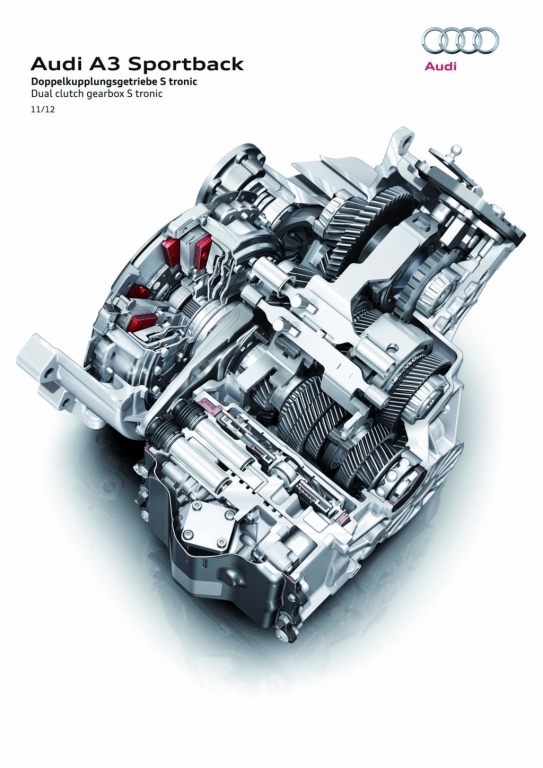 These three engines will be mated either to a six-speed manual transmission of the S tronic transmission. 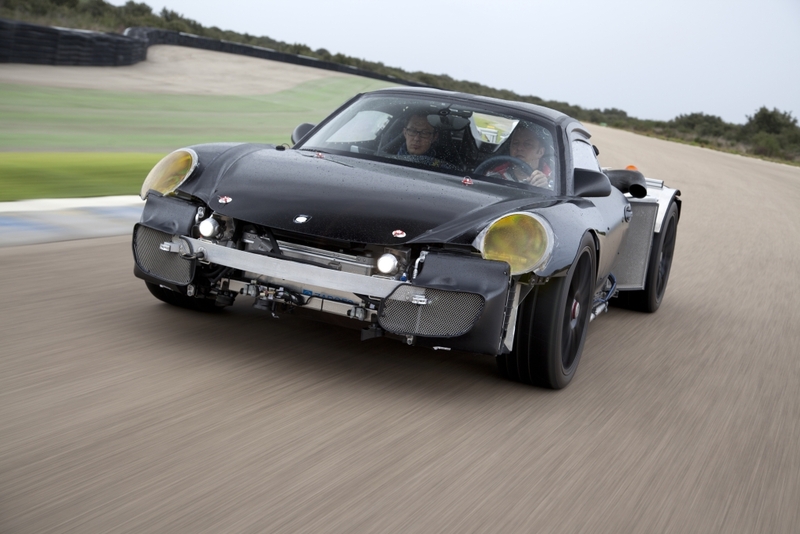 From a ride and handling perspective the, the front suspension is a Macpherson design with A-arms and aluminum pivot bearings whilst the rear suspension consists of a four-link setup. 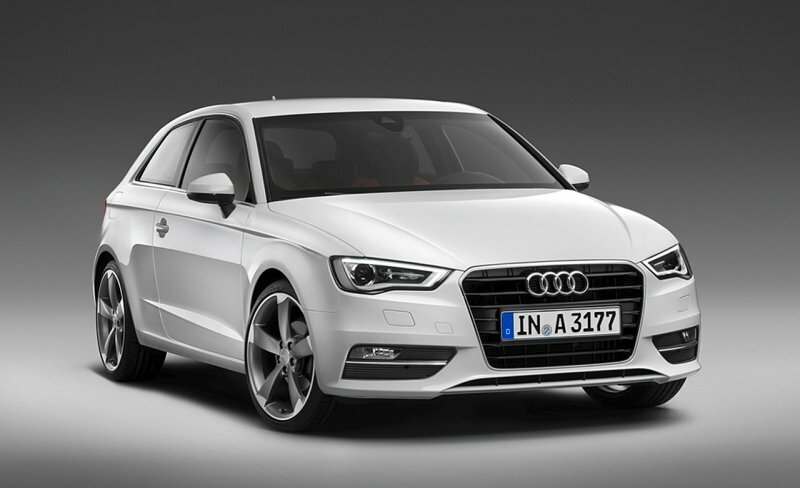 A choice of 16 to 18-inch wheels will be available, with 19-inch wheels available from Quattro GmbH. 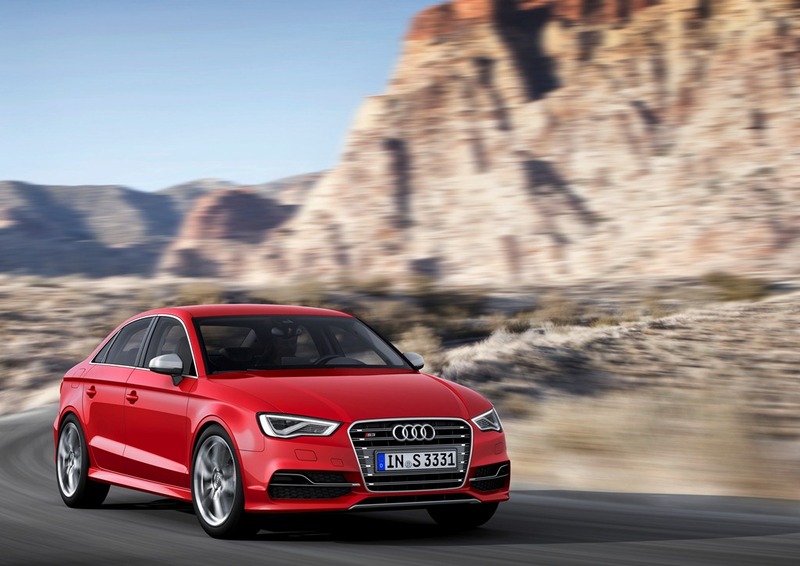 The interior of the A3 sedan is similar to that of the A3 three-door and Sportback and as such we will not say too much about it, that is except to mention the interior space. 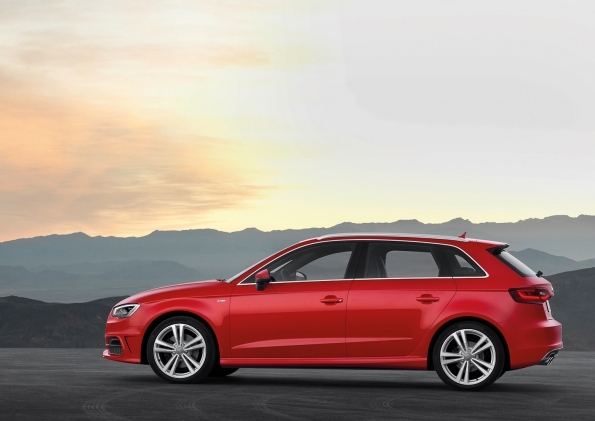 Thanks to the long wheelbase, rear passengers enjoy ample space and comfortable entry. 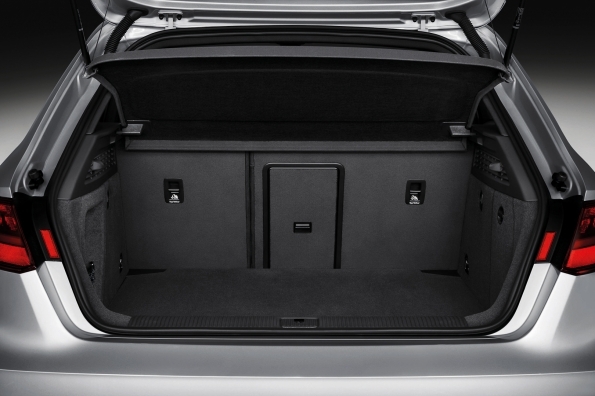 The cargo capacity of the trunk measures 425 litres. 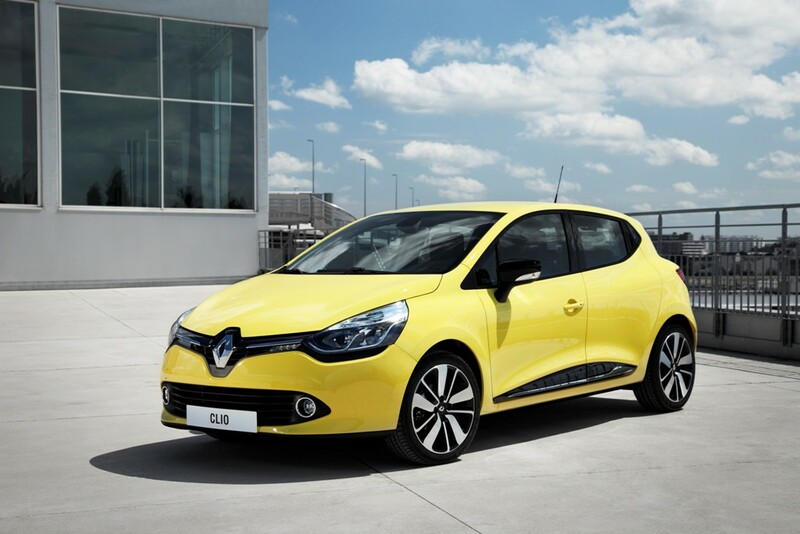 This capacity can be increased by folding down the rear seats which come with a load-through hatch as an option. 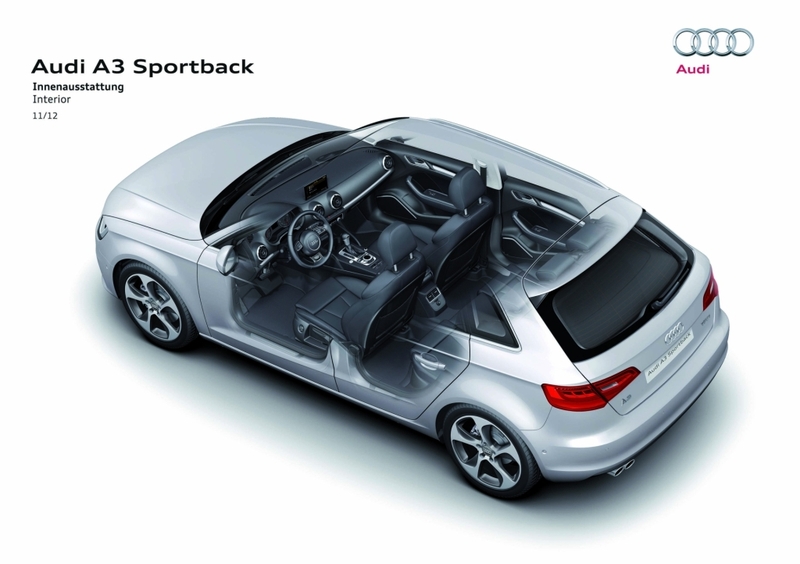 The trunk lid automatically swings upward after it is unlocked. 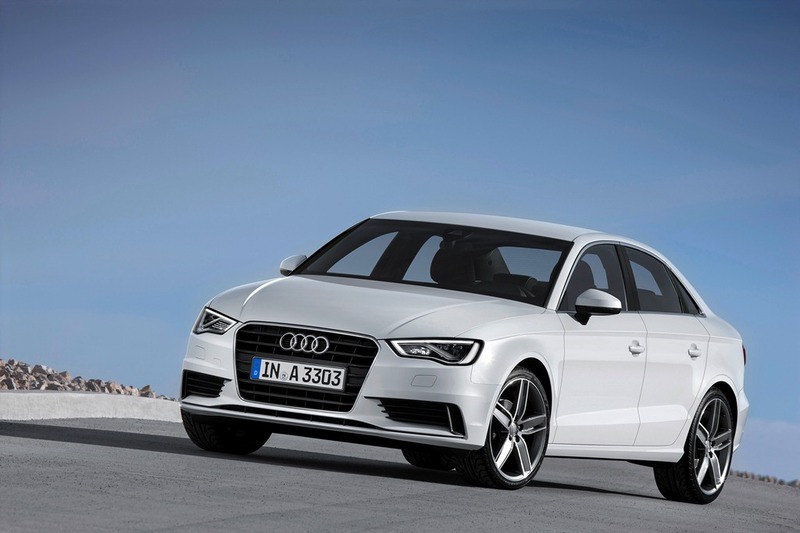 As mentioned earlier the S3 sedan will be launched a few months after the A3 sedan. 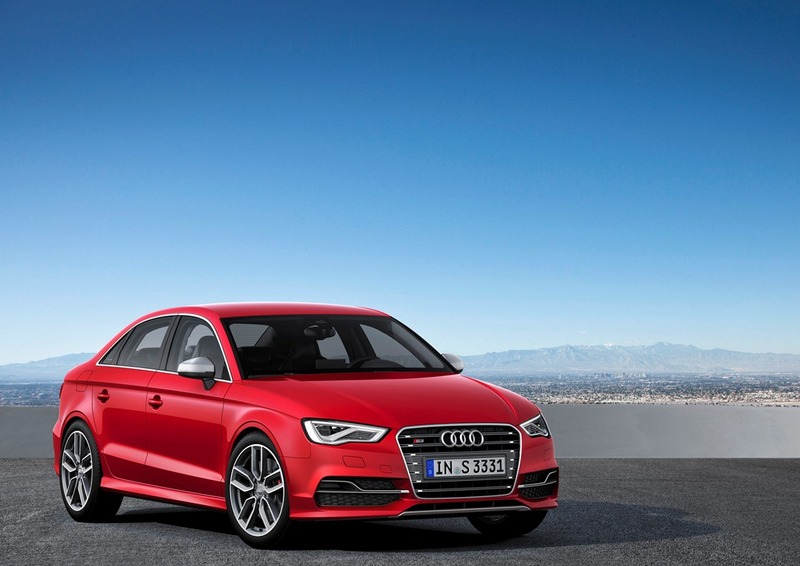 The S3 sedan will be powered by 1 2.0TFSI engine producing 221kW and 380Nm. 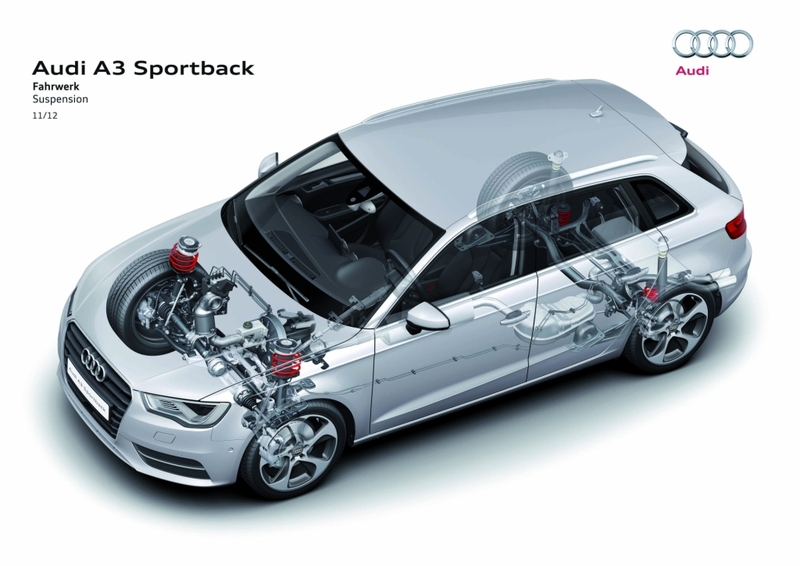 This engine will accelerate the S3 sedan from 0 to 100km/h in 4.9 seconds when paired to the S tronic transmission and when mated to the manual transmission will take 5.3 seconds. 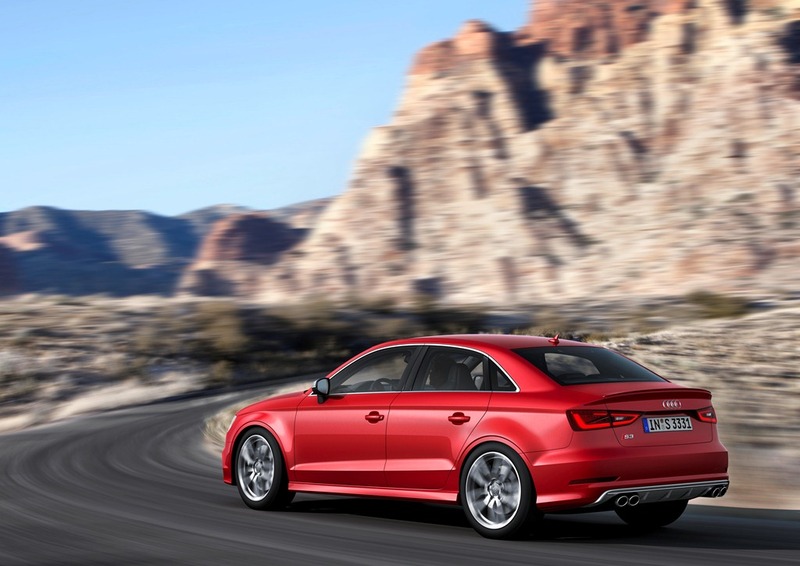 The suspension setup on the S3 sedan will see it sitting 25mm lower giving it a more sport driving feel. 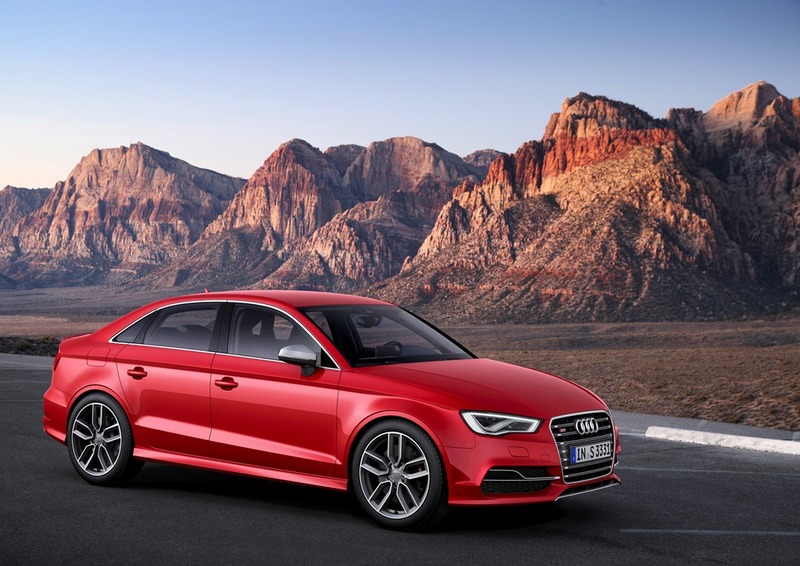 Visually the S3 sedan is distinguished from the rest of its siblings by the bumpers, the single frame grille, air intakes, exterior mirror housing, side sills and rear spoiler. 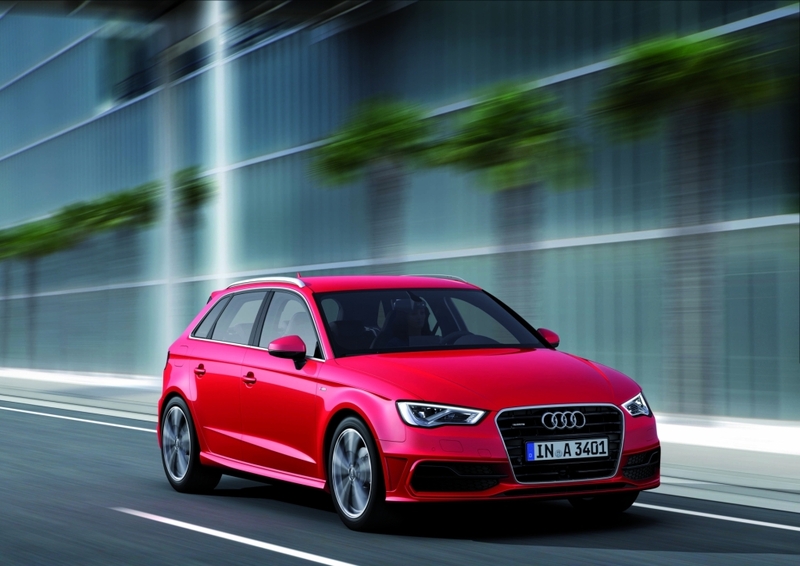 Earlier in the year Audi released some information on the Audi A3 Sportback, and recently released even more information on the upcoming Audi A3 Sportback which is set to be on dealer floors from February 2013 in Europe. 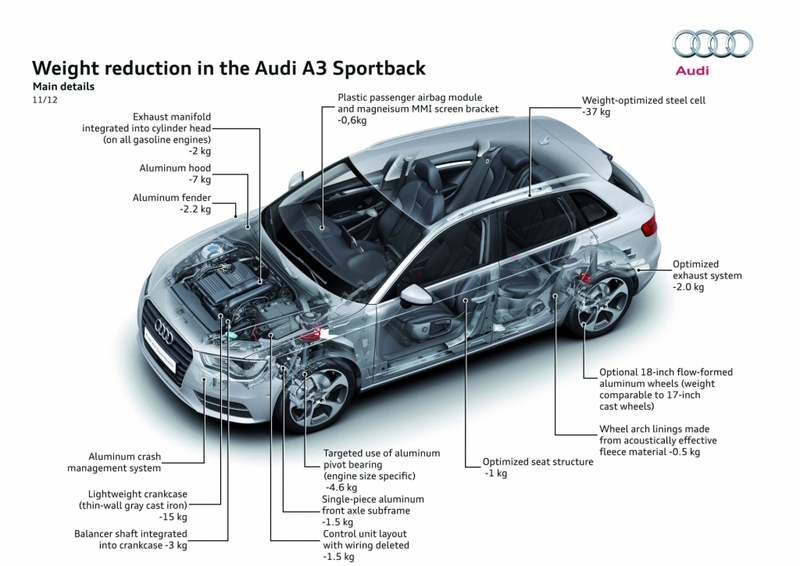 The use of ultra lightweight technology from Audi reduces the weight of the new Audi A3 Sportback by as much as 90 kilograms compared with the previous version. 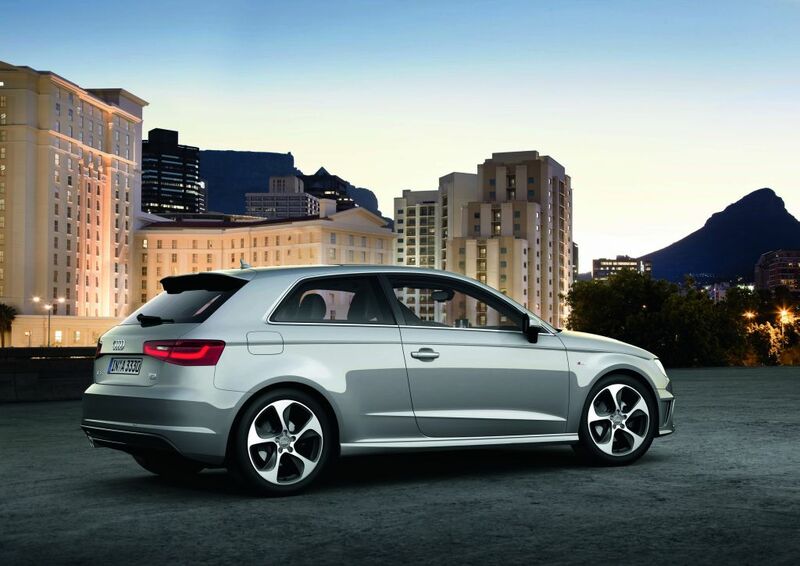 Equipped with the 1.4 TFSI engine, the five-door model has a curb weight (without driver) of just 1,205 kilograms. 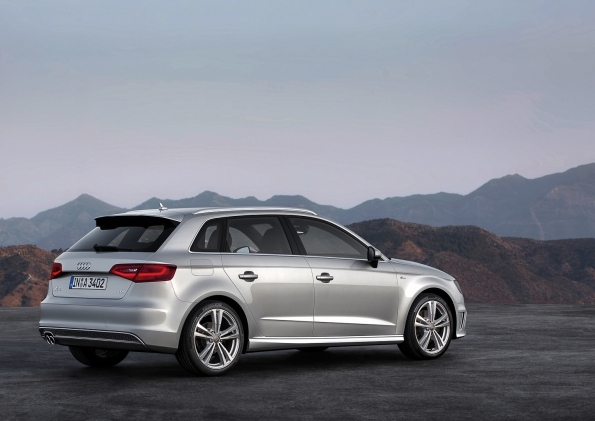 The body of the new Audi A3 Sportback is long and lean. 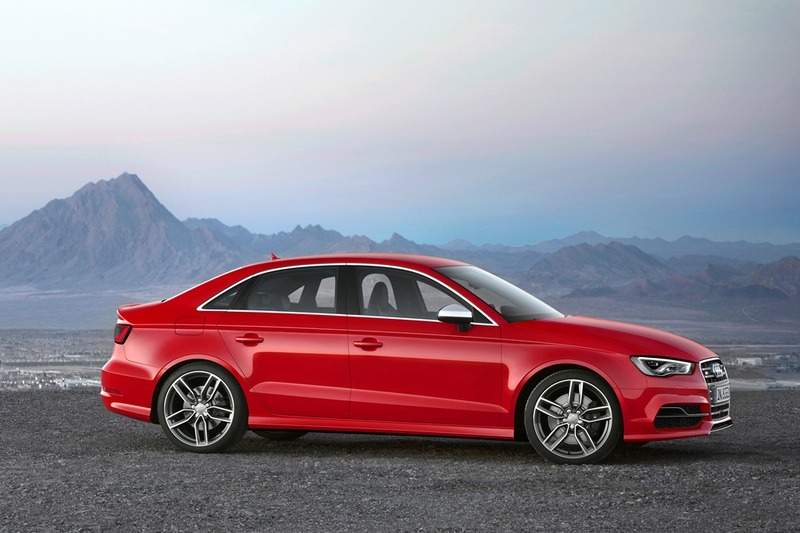 While the length (4,310 millimeters), width (1,780 millimeters) and height (1,425 millimeters) of the new model are only slightly greater than on the previous model, the wheelbase is now significantly longer at 2,636 millimeters, an increase of 58 millimeters. 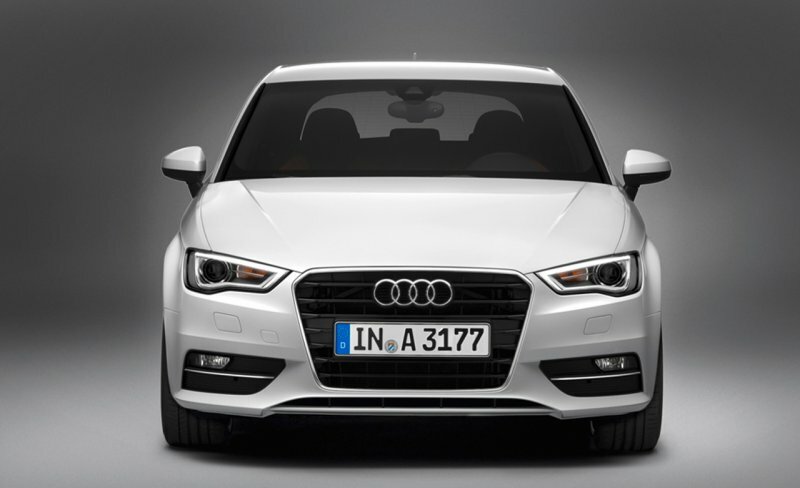 The distinctive, Stone Gray single-frame grille with the angled upper corners is the distinguishing element at the front of the vehicle. 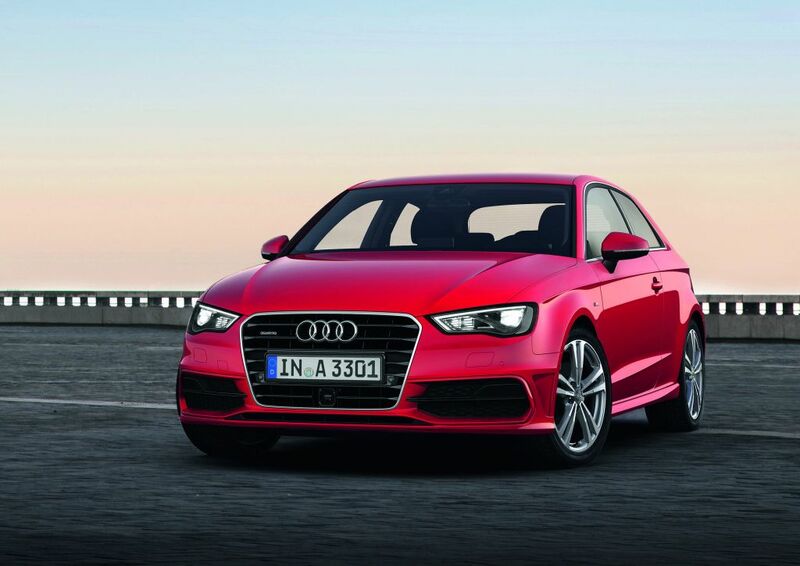 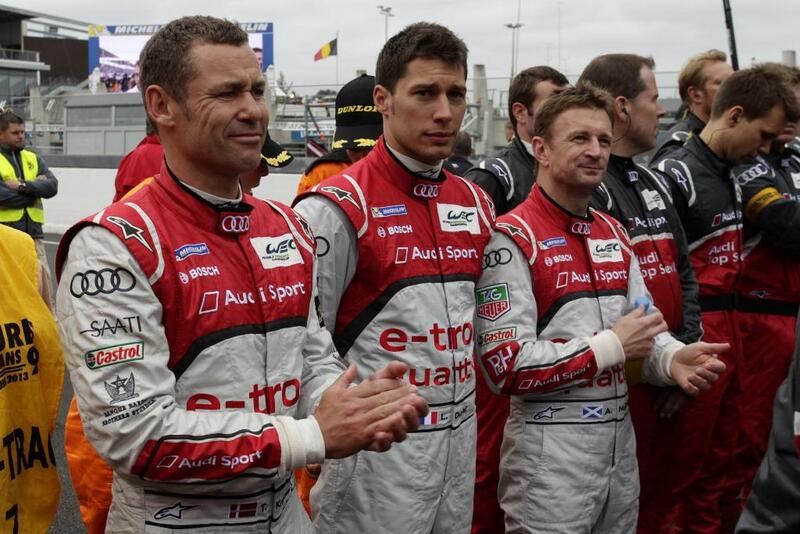 Audi rings are highlighted three-dimensionally. 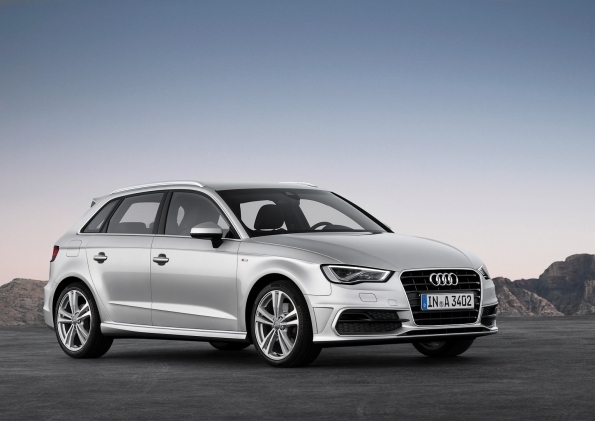 The flat headlights give the new Audi A3 Sportback a determined gaze. 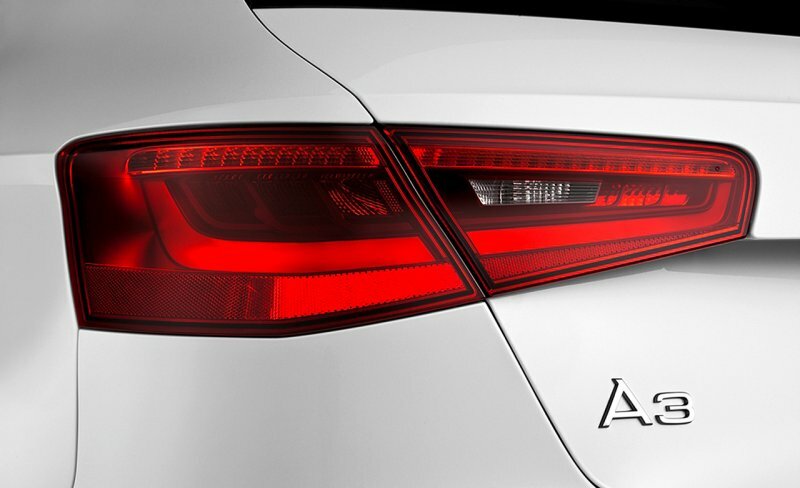 Full LED headlights will be offered at a later time. 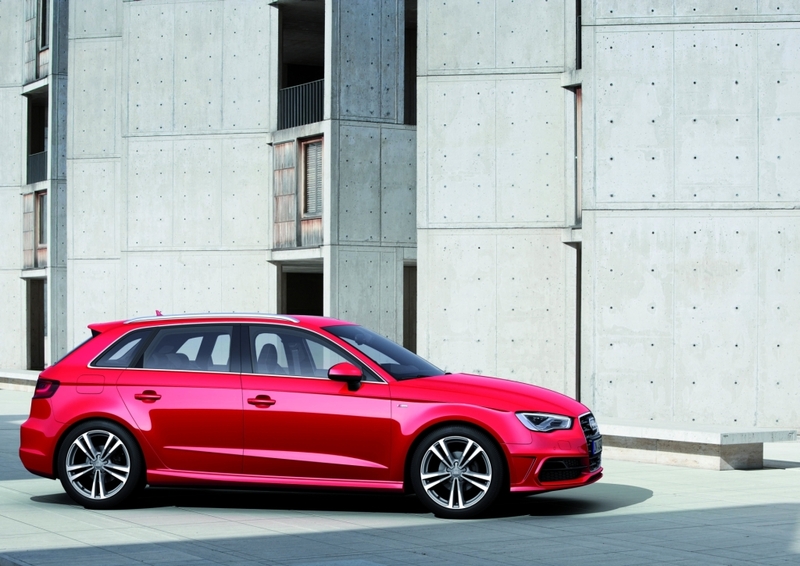 The interior of the new Audi A3 Sportback is elegant, airy and cleanly designed. 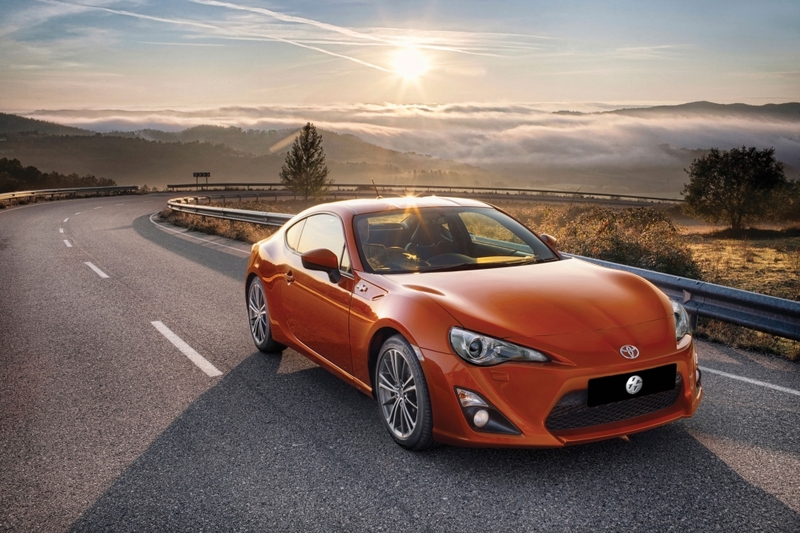 It carries over the dynamics of the exterior. 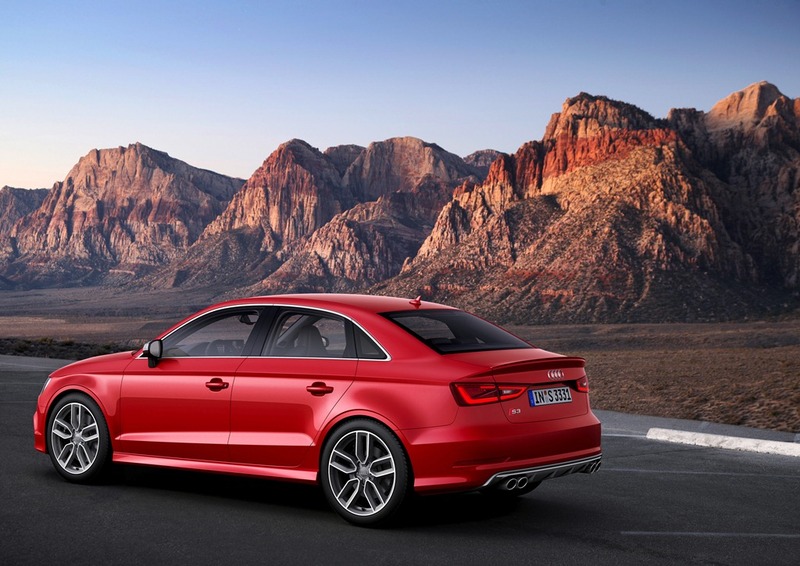 The instrument panel with its curving front is slim and low. 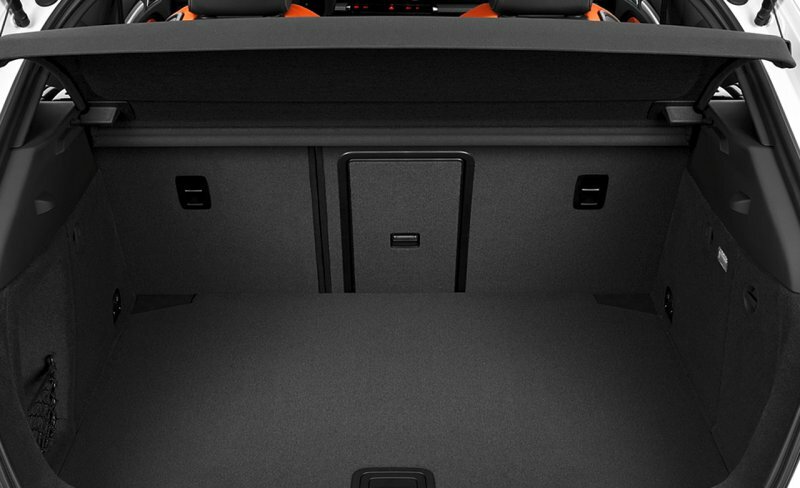 Together with the center console oriented toward the driver, it appears to float slightly. 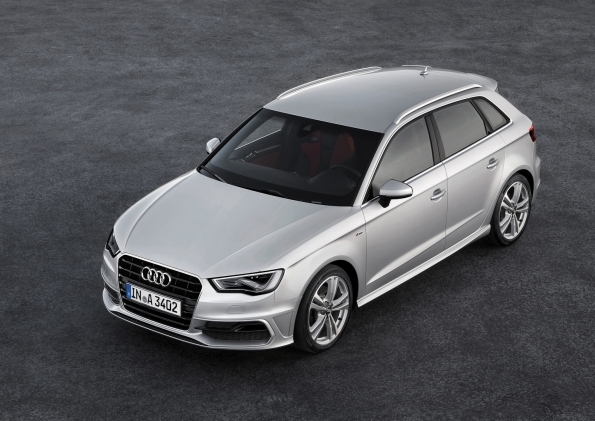 The interior finish is what we have come to expect from Audi, the large, round air nozzles in jet design, the elegant user interface panel for the climate control system and sculpturally styled trim set the tone – with their polish they bring the quality of the full-size class into the new Audi A3 Sportback. 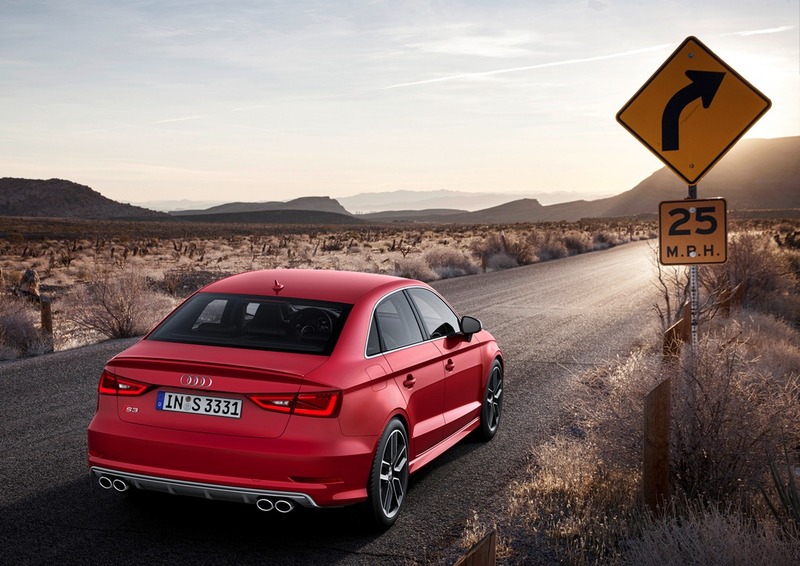 The seats and steering wheels are new developments, and the car’s user controls are clear and intuitive – as they are in every Audi. 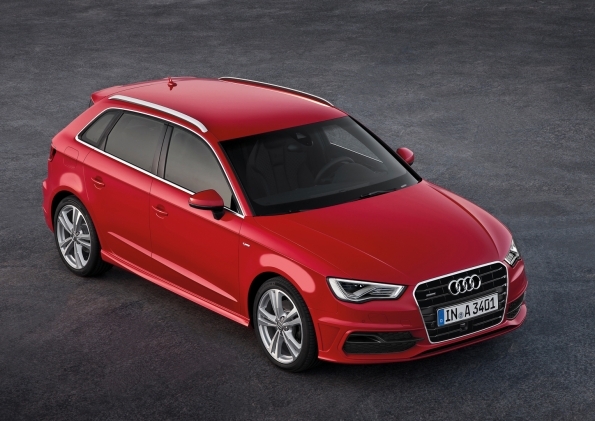 The compact five-door model offers a generous luggage capacity of between 380 and 1,220 liters. 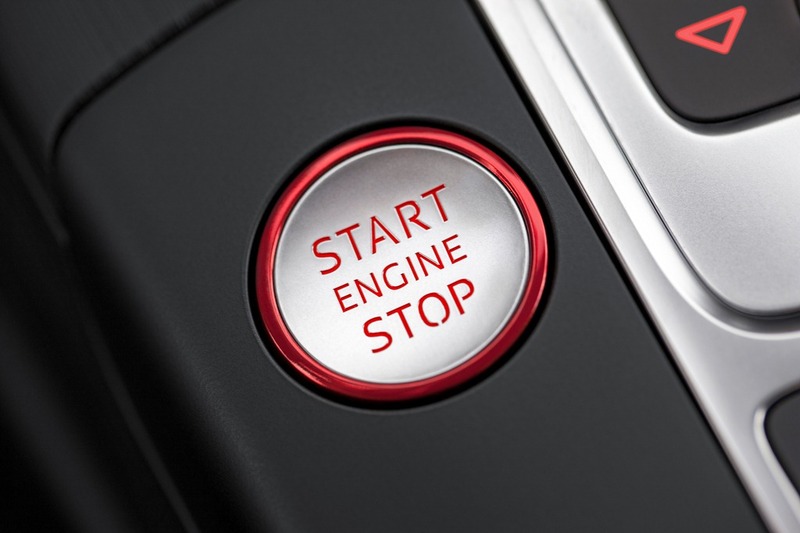 Customized online services, which the brand offers under Audi connect, network drivers to the Internet and rapidly supply the driver with key information – in an easy-to-comprehend format. 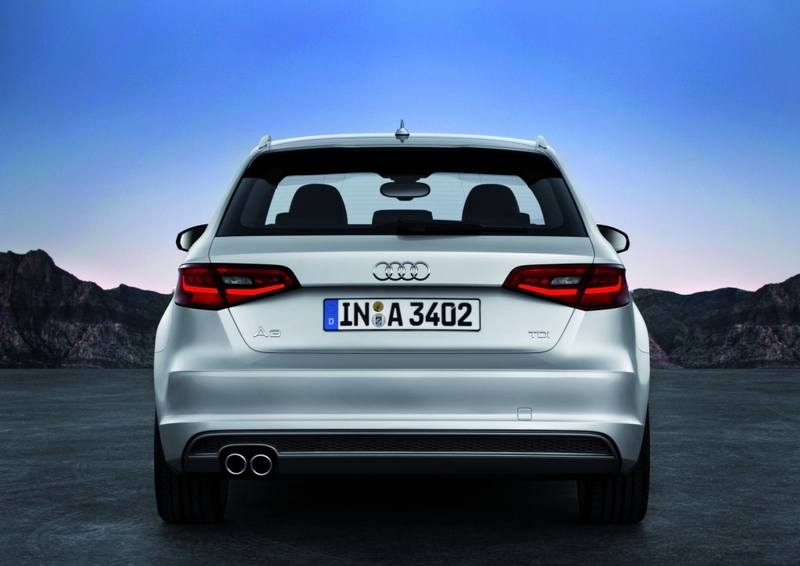 The connection to the Internet is established via Audi connect, an extension of the MMI navigation plus system. 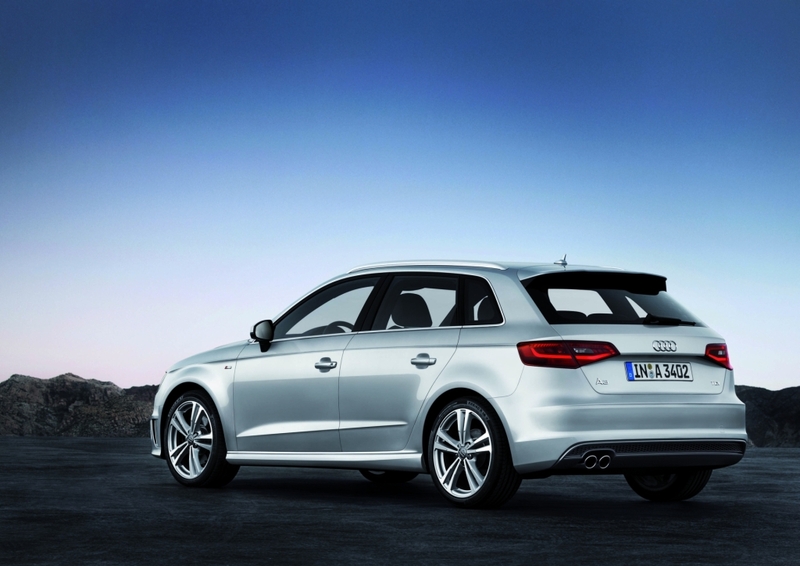 Passengers can surf and e-mail freely with up to eight mobile devices via the integrated WLAN hotspot. 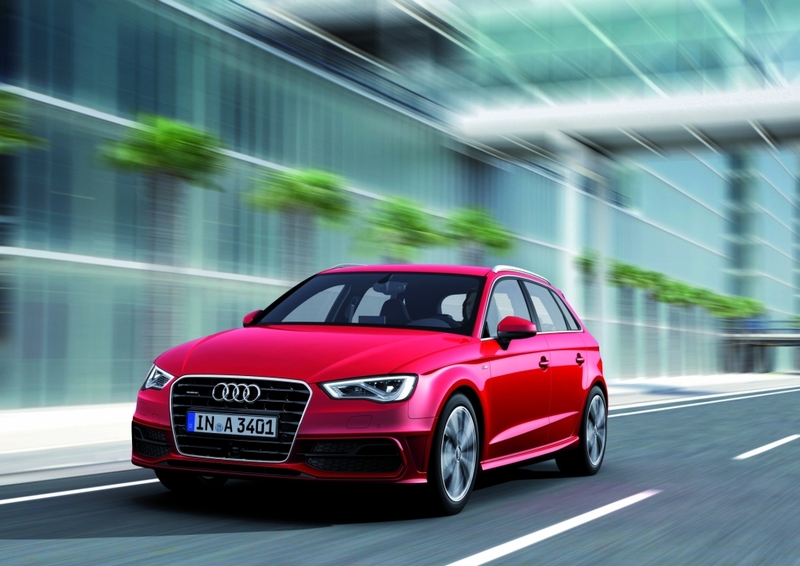 The system delivers Internet services tailored for the driver to the car – from navigation with Google Earth images and Google Maps Street View to Audi online traffic information to services such as Facebook and Twitter. 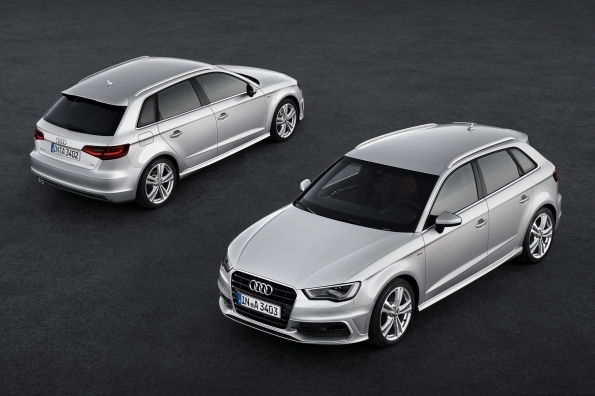 Audi connect offers drivers for the first time the ability to have e-mail read aloud and to dictate text messages (SMS). 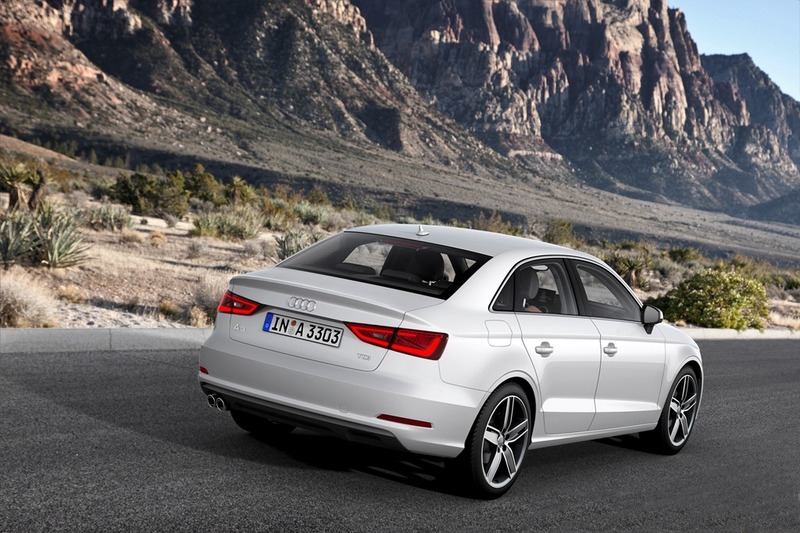 The new Audi A3 Sportback is launching with two TDI and two TFSI engines, all of which are new developments. 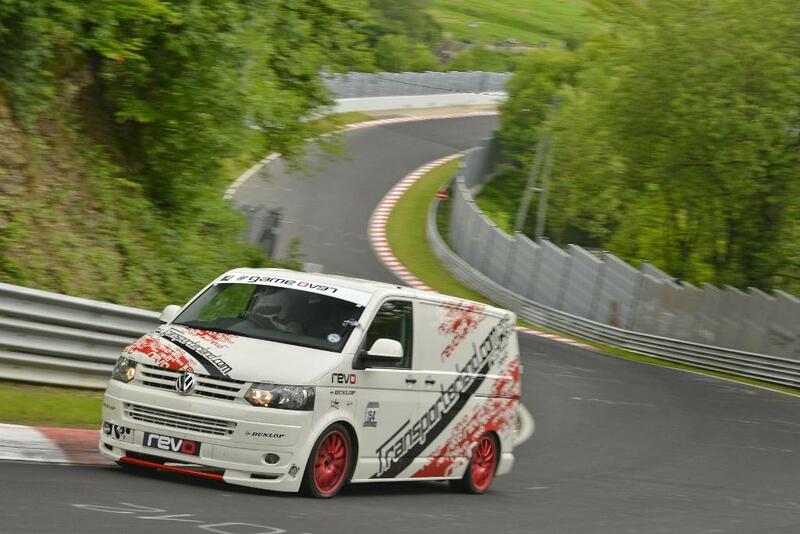 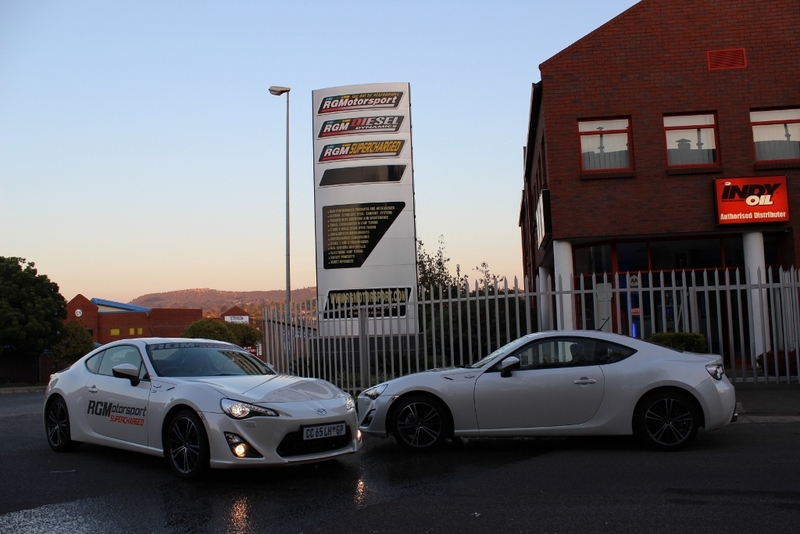 Their engine displacements range from 1.4 to 2.0 litres and their power from 77 kW to 135 kW. 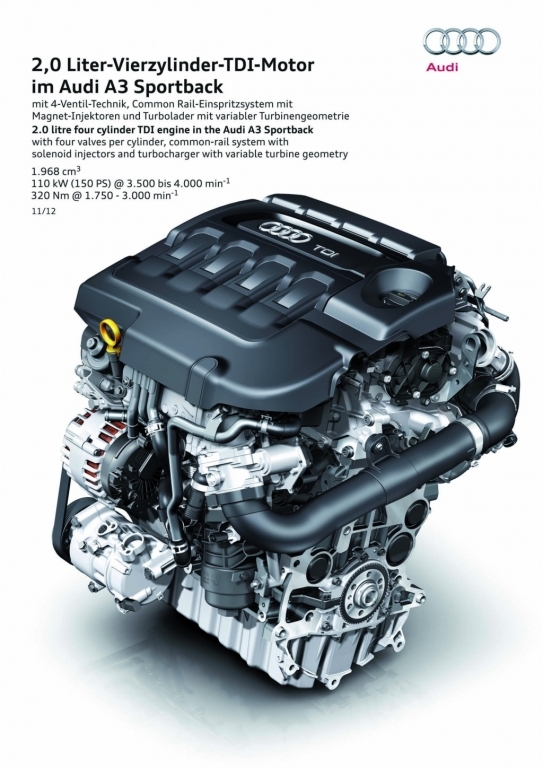 At its launch, the 1.8 TFSI is being offered with a seven-speed S tronic; in combination with the vehicle dynamics system Audi drive select, it offers a free-wheeling function that reduces fuel consumption. 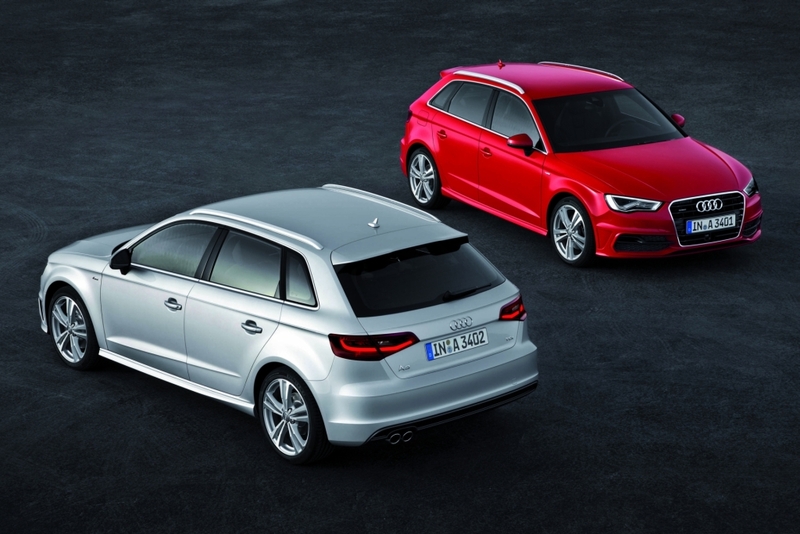 The 1.4 TFSI and 2.0 TDI are paired with a manual six-speed transmission. 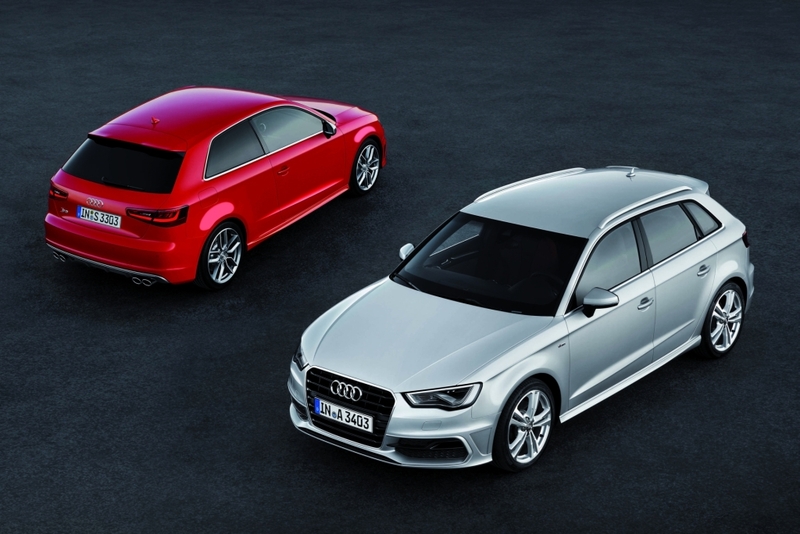 Quattro permanent all-wheel drive will follow shortly. 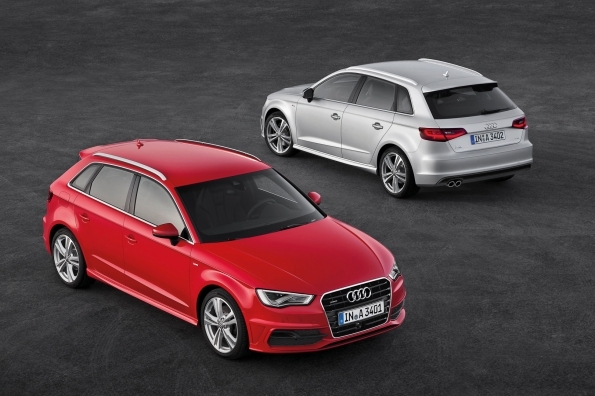 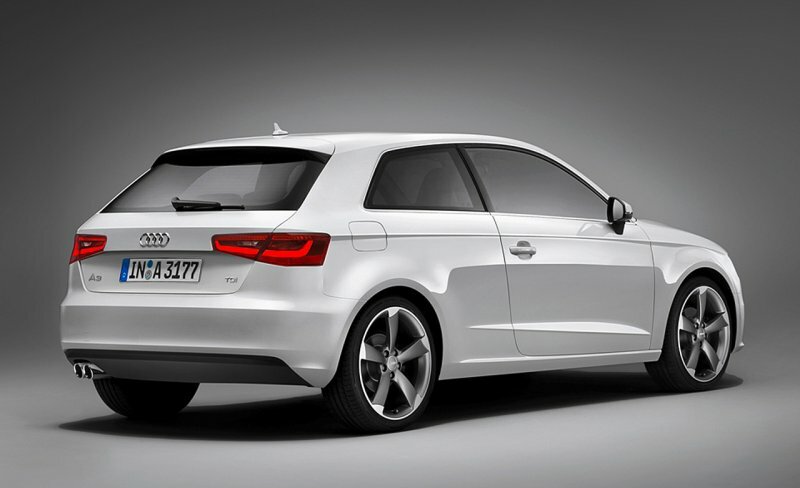 The new Audi A3 Sportback will begin appearing in German dealerships in February 2013, with prices starting at €23,400. 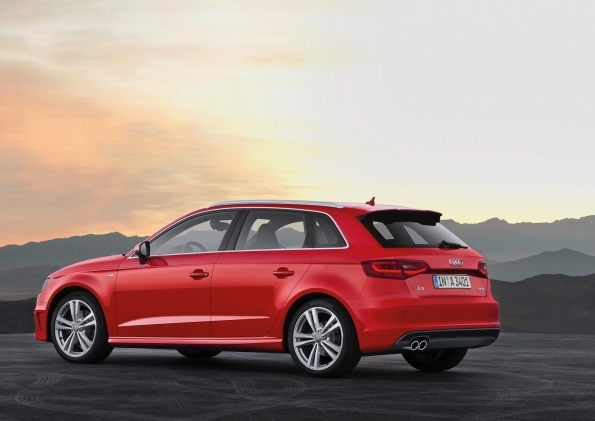 The 1.2 TFSI will be available somewhat later for a base price of €22,500. 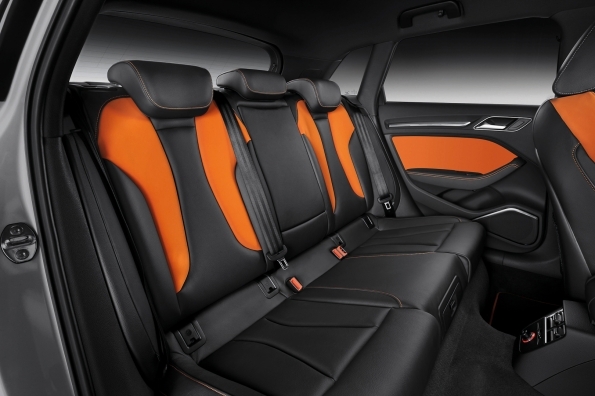 Customers can choose between the trim lines Attraction, Ambition and Ambiente. 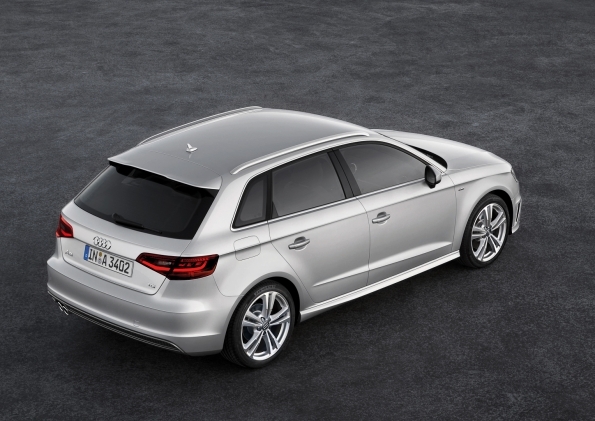 There is also large number of sporty and comfortable options, such as adaptive light of the panoramic glass roof. 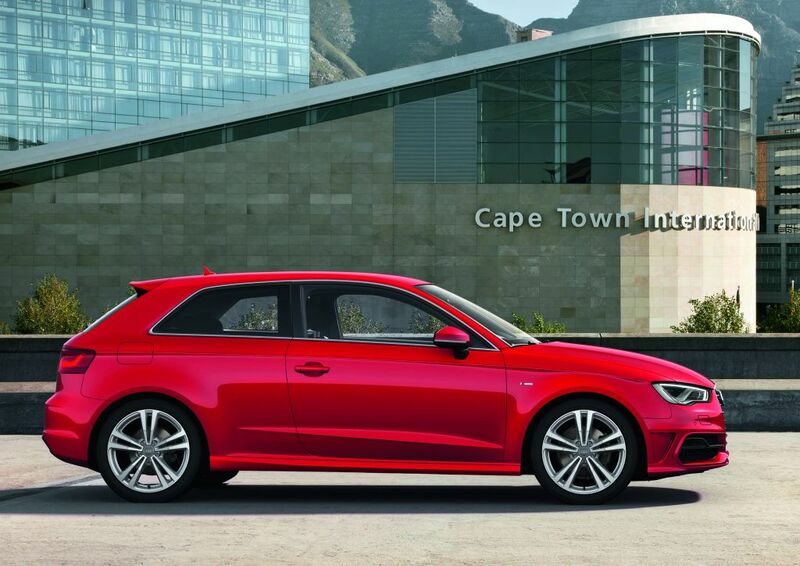 We have not managed to get the South African vehicle specifications or pricing for the new Audi A3 Sportback, hopefully we will soon. 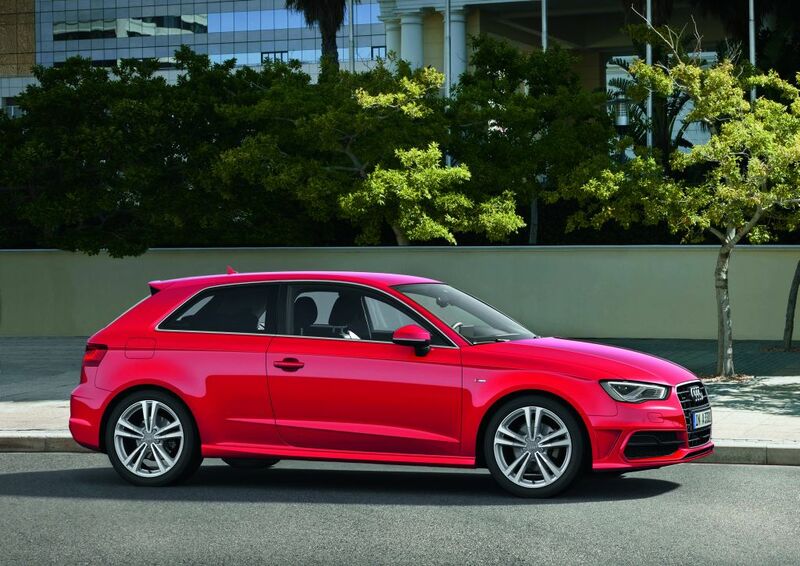 The Audi A3 pricing is now available and Audi South Africa have updated their website to reflect the vehicle specifications and pricing. 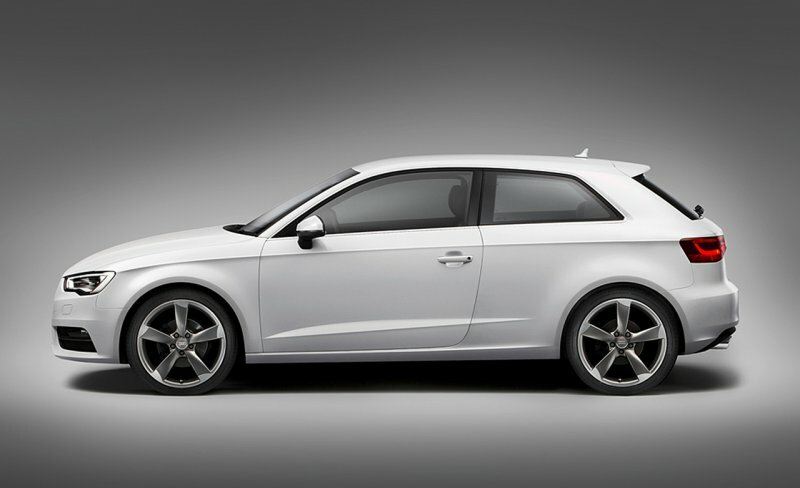 Vehicles are said to be available from around mid-November 2012. 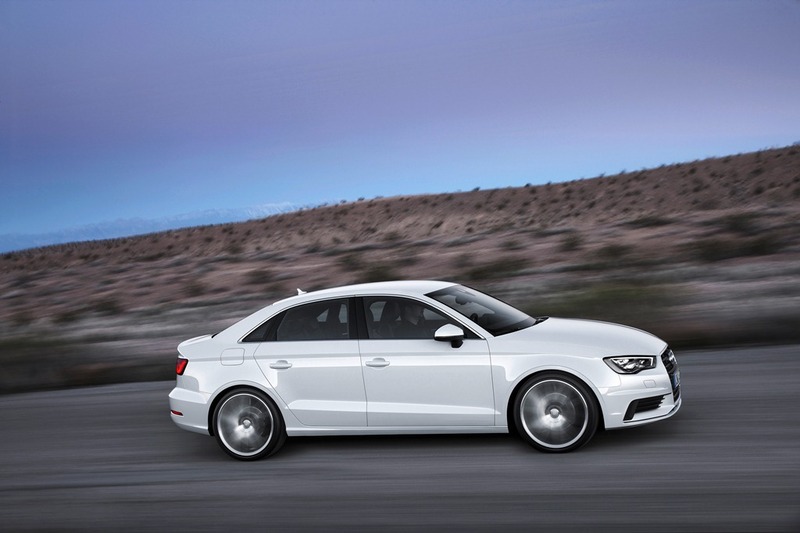 To read more on the Audi A3 read our previous article published earlier this year just before the 2012 geneva Motor Show. 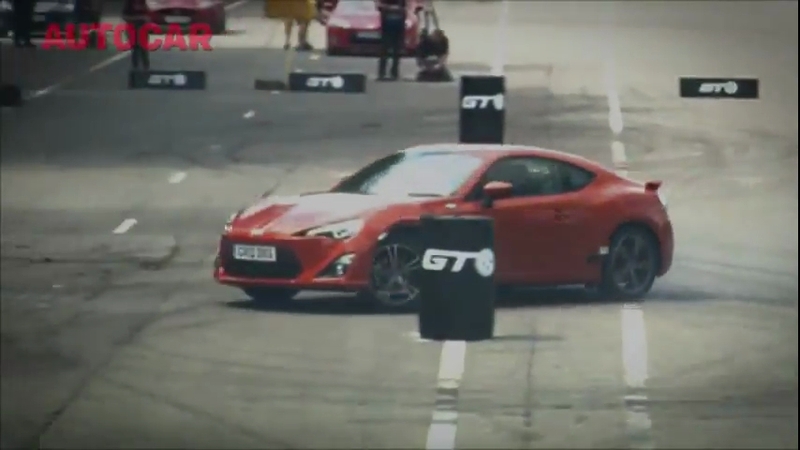 Since then a number of drive reviews have been performed by a number of motoring publications. 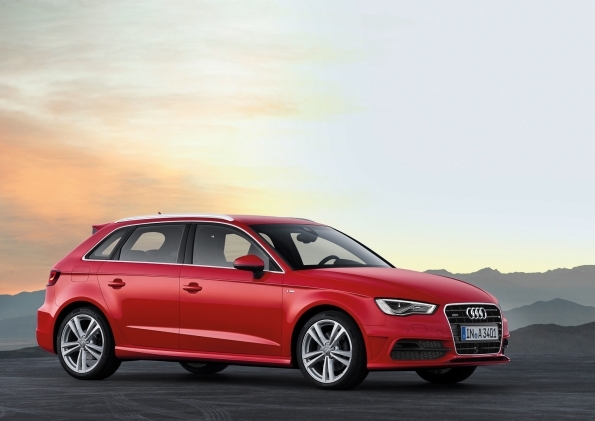 Have a look at the two video reviews of the Audi A3 hatchback, from both a male and female perspective. 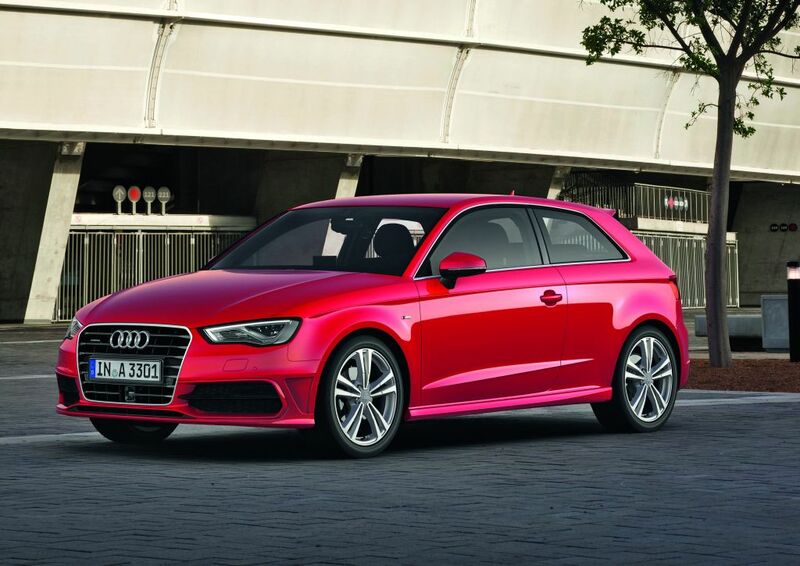 The Audi A3 faces fierce competition from the likes of the Volvo V40, the radically overhauled Mercedes A-Class, and the BMW 1 series, so only time will tell how Audi performs. The new Mercedes A-Class AMG or A45 AMG, will have a power output of 242kW delivered from its four-cylinder 2.0L turbocharged engine whereas the Audi S3 has a power output of 221kW with the Audi RS3 most likey being way over that. 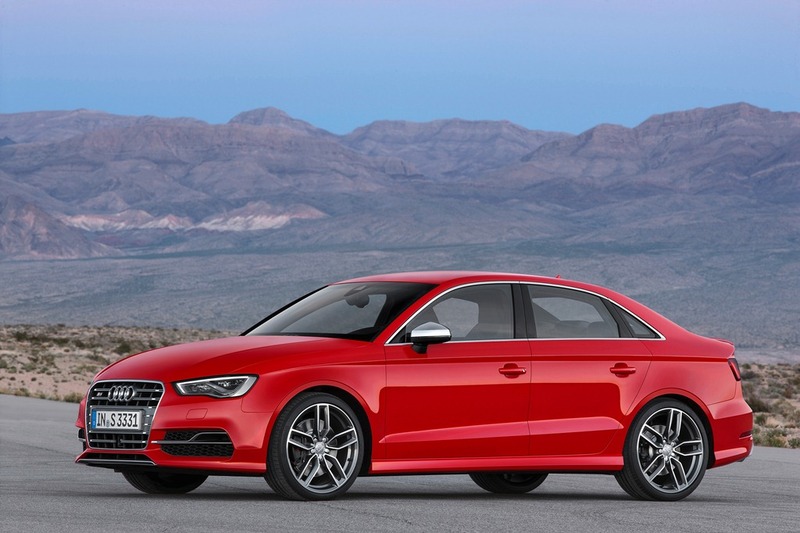 Considering the more appealing look of the Mercedes A-class which was intentionally designed to appeal to younger buyers, we think we have the making for a rather interesting premium hatchback war, in terms of price, styling, quality and performance. 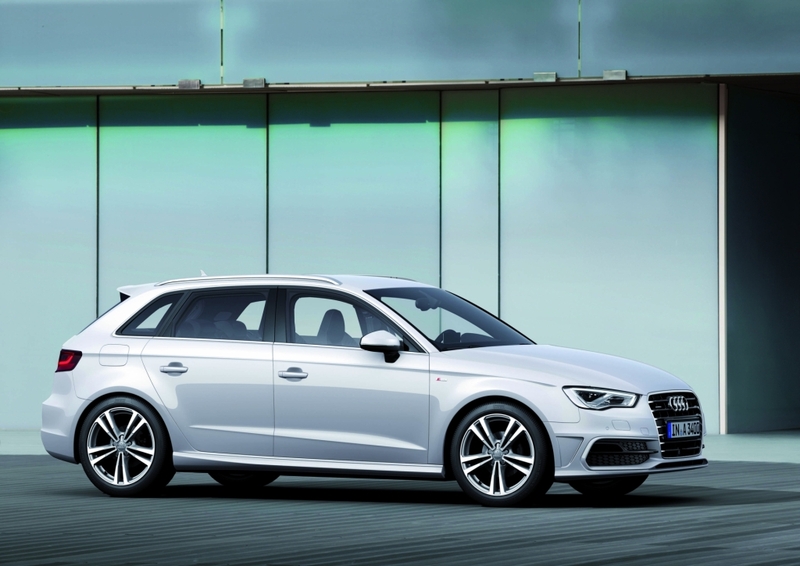 The new Audi A3 received a five star Euro NCAP safety rating, achieving a 95% score for adult occupanant protection, 87% for child occupant protection, 74% for pedestrain safety and an 86% score for vehicle safety assist. 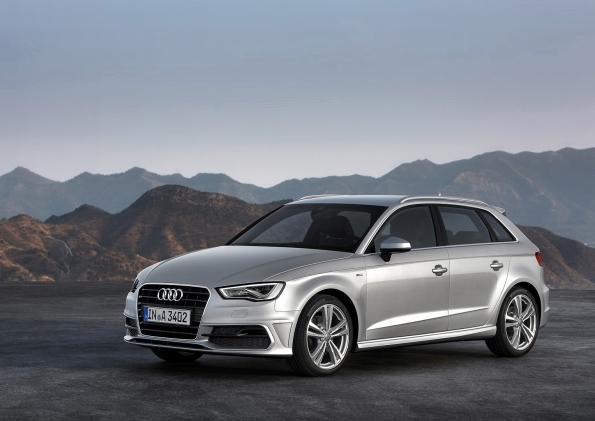 One of the main concerns on the Audi A3 was the insufficient information provided to the driver regarding the status of the passenger airbag system which can be disabled to allow a rearward-facing child restraint to be used in front passenger seat. 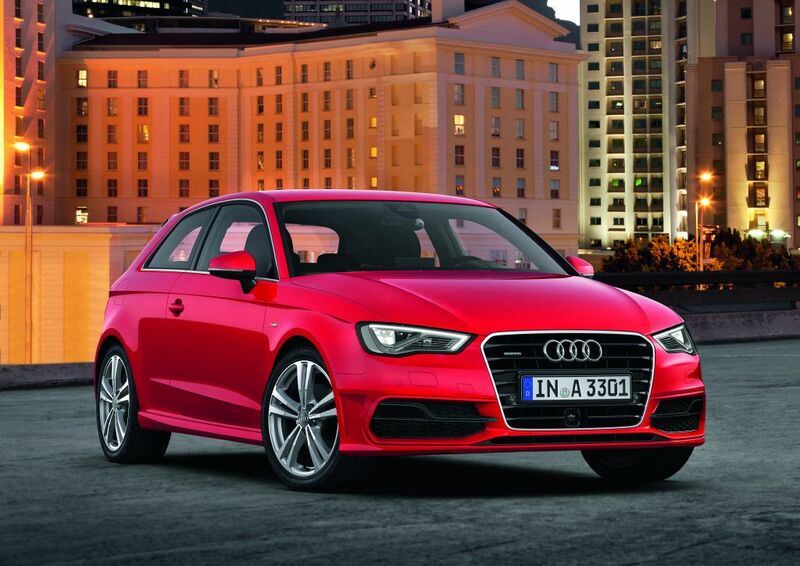 For more information on the Audi A3 read our article here. 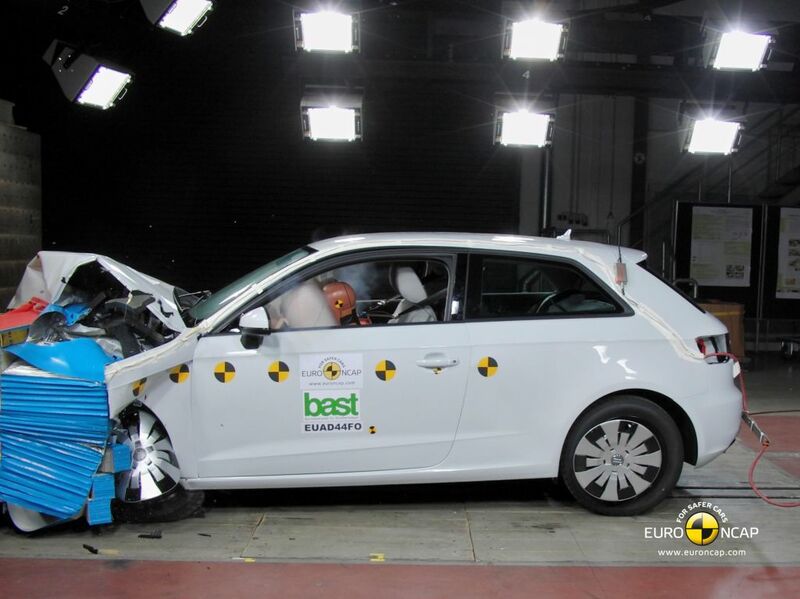 The video below shows footage from the Euro NCAP crash tests of the Audi A3. 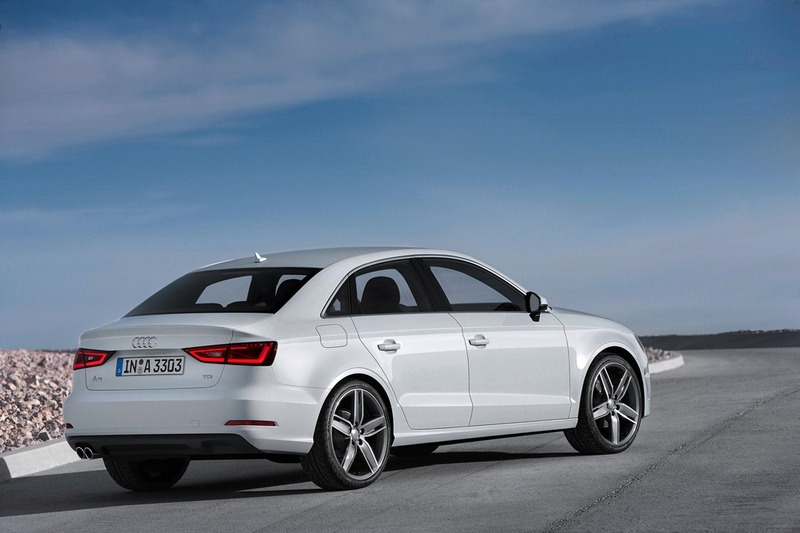 The video below shows footage from the Euro NCAP tests Electronic Stability Control (ESC) tests on the Audi A3. 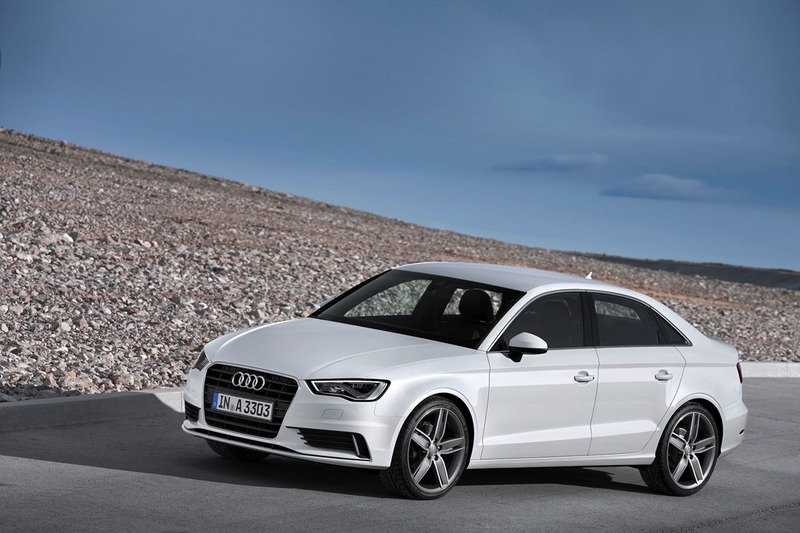 Pictures of the new Audi A3 were released by a Russian website over a week ago. 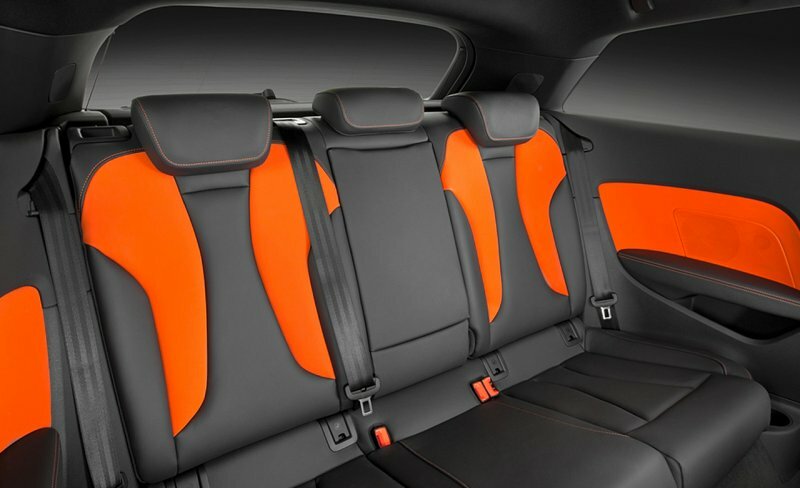 Whether or not these are representative of the actual vehicle which will be officially unveiled at the Geneva Motor Show which starts on the 6th of March remains to be seen. 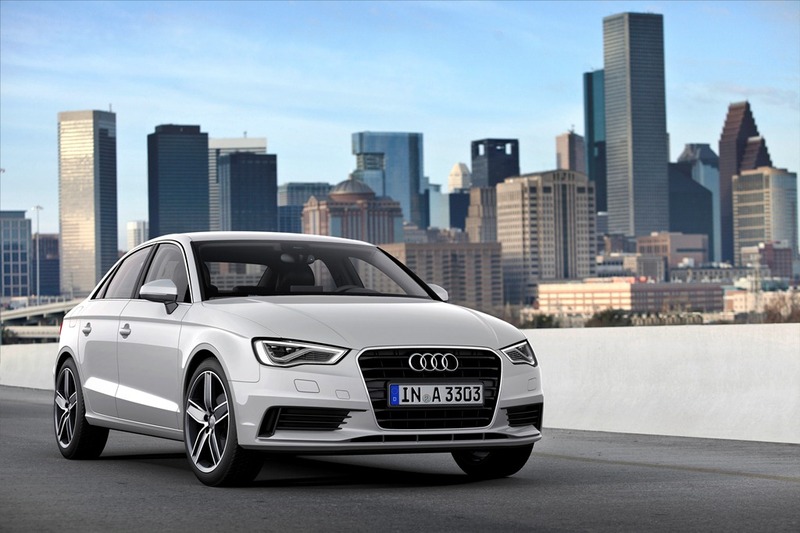 Based on the pictures the styling looks consistent with what we’ve seen on the new A1, A6 and A8 models and seems to be more of an evolutionary step, albeit one we like. 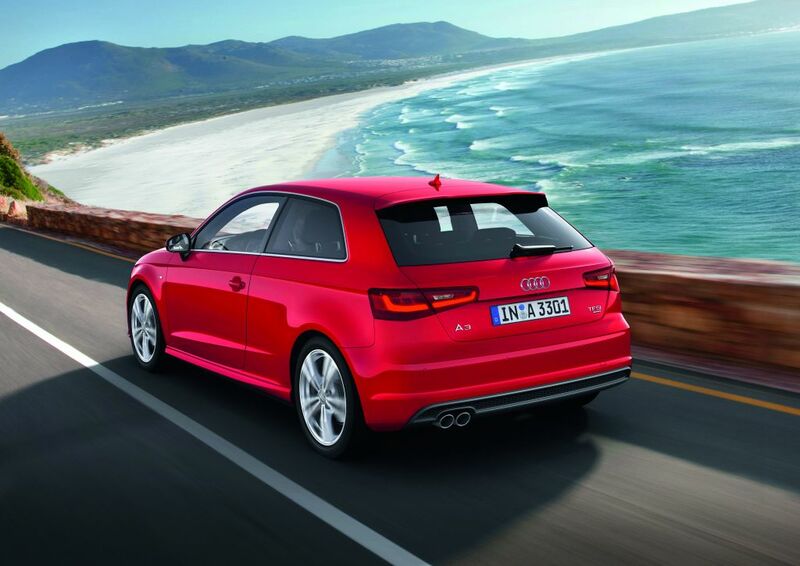 The strong side character lines running across the length of the car add some sportiness to the A3. 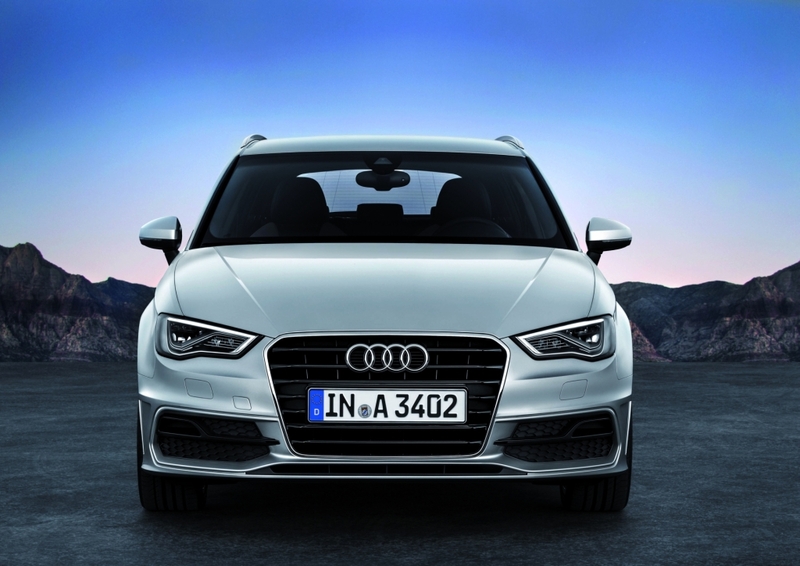 The A3 maintains the corporate six-sided grille and front and rear LED running lights and maintains the traditional high quality we have come to expect from Audi brand. 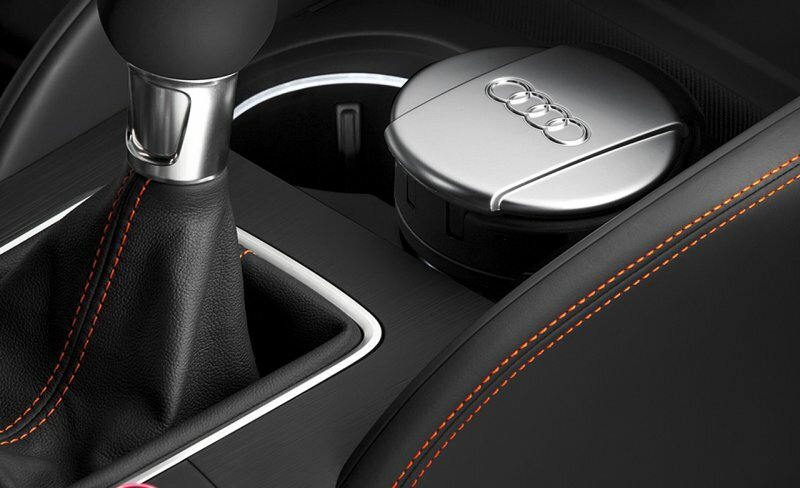 The cabin features ergonomic luxuries including the Audi Connect Infotainment system which was revealed at the Consumer Electronics Show (CES) in January this year of which the Multimedia Interface (MMI) interface control knob also incorporates a touchpad similar to that on the Audi A6 and Audi A8. 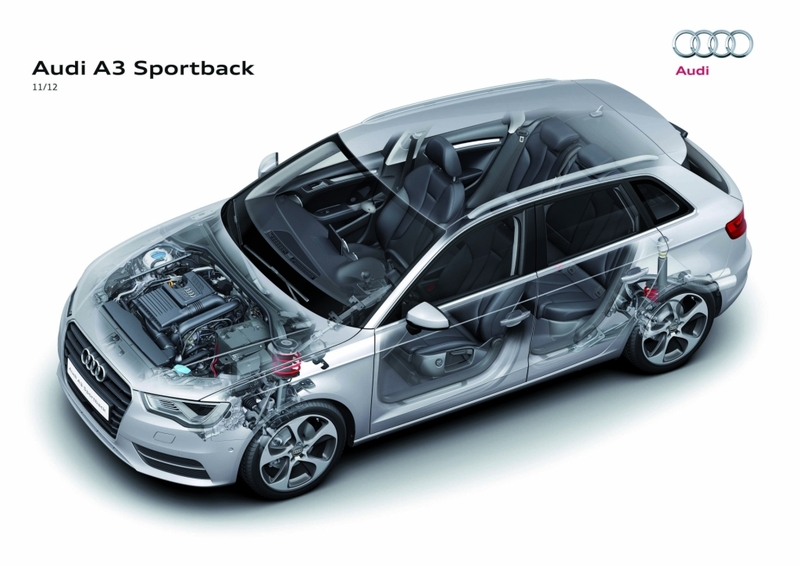 The New Audi A3 uses the new MQB (Modularer Querbaukasten in German or Modular Transverse Matrix in English) platform which will be used in a range of upcoming VW Group products. 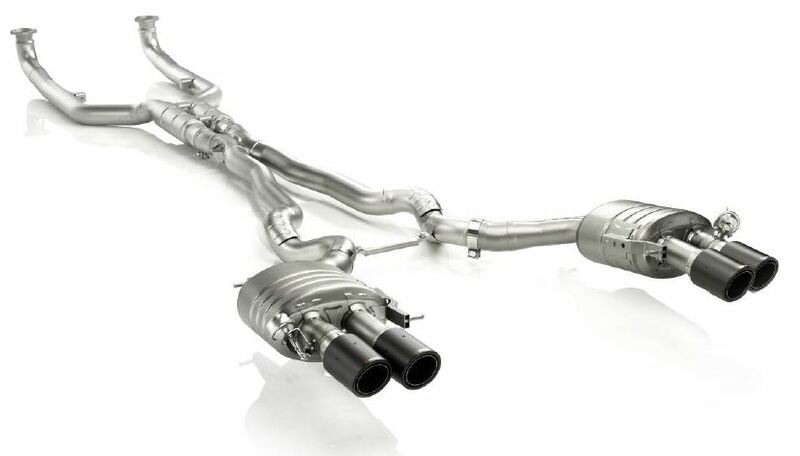 We are looking forward to getting the official specifications next week.